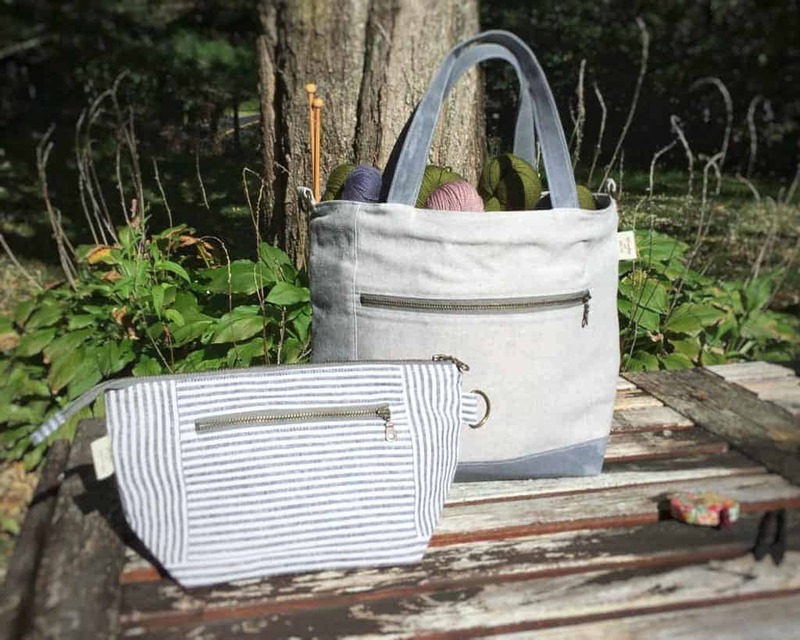 Sara of La Cave à Laine, based in Southern Alsace, France, makes her Origami project bags with 100% cotton canvas lined with light cotton. 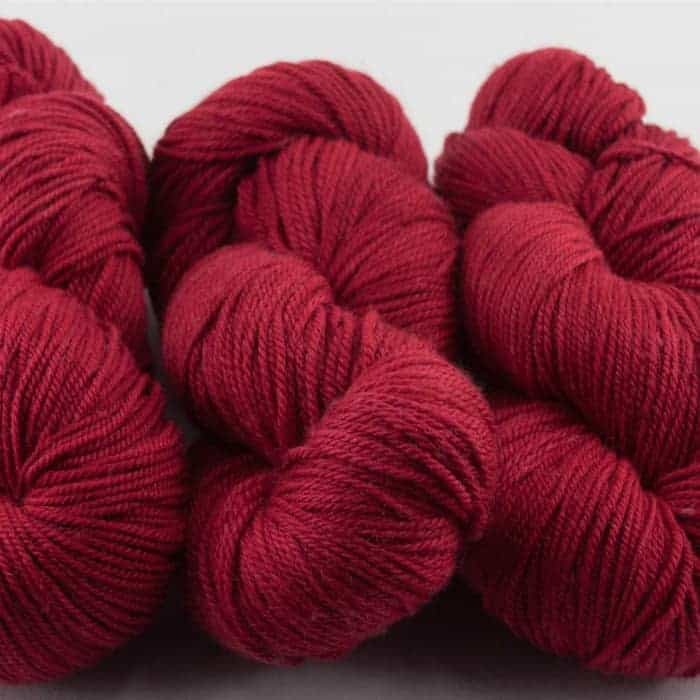 They are lightweight, but sturdy, and are big enough hold your current WIP plus three skeins of yarn. 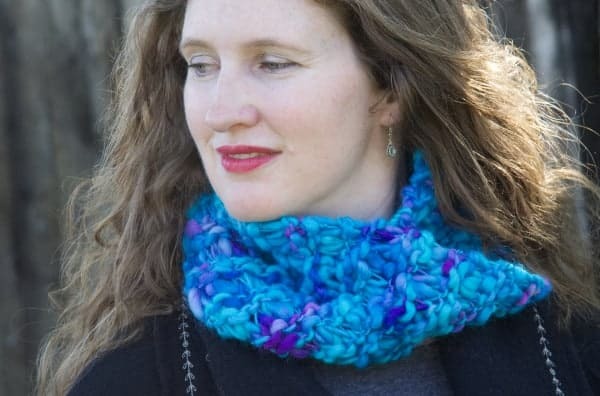 And they come in a variety of stunning solid colors and simple prints. 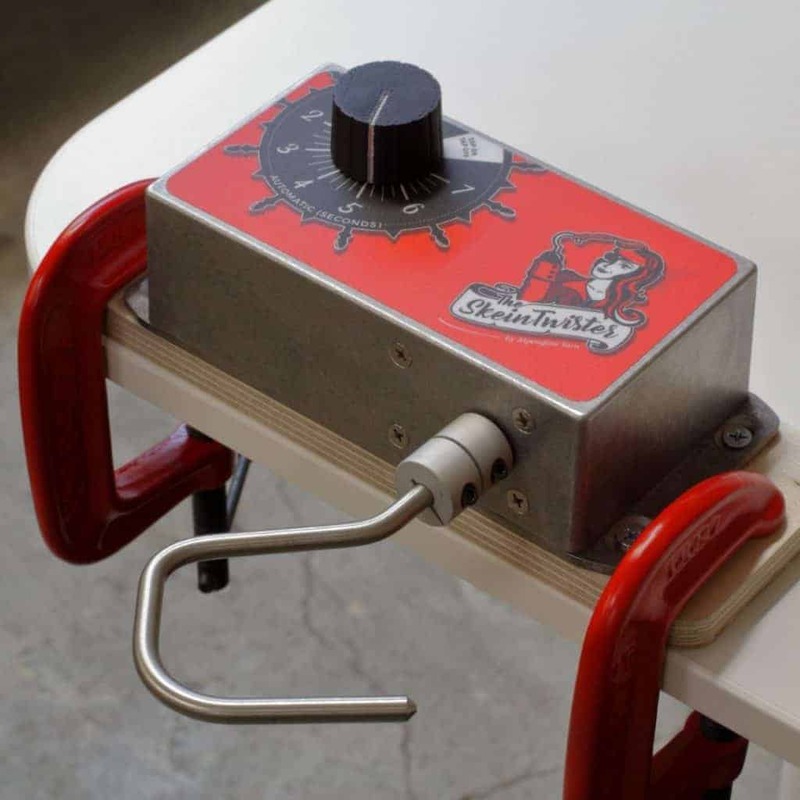 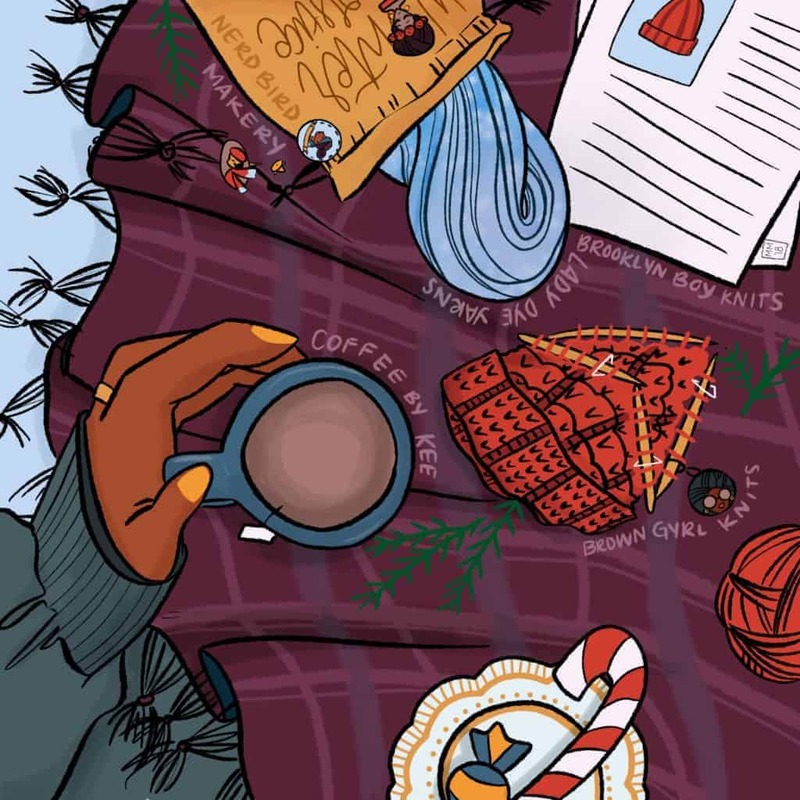 There is still time to snag one of Big Foot Fibers’ advent calendars. 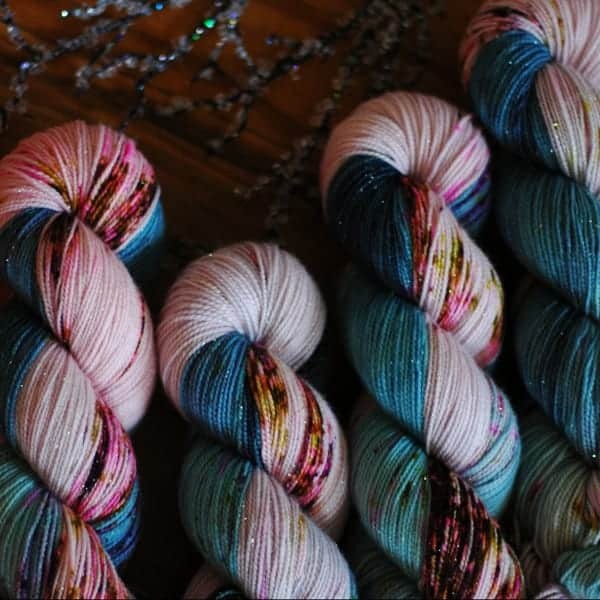 Get 25 sparkly mini skeins to light up your Christmas knitting! 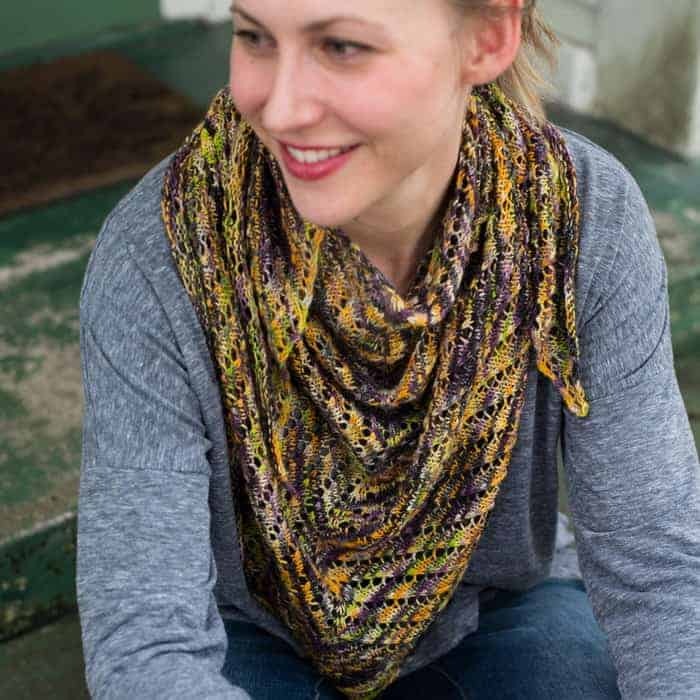 Orders close Monday, November 5, and they will ship the week of November 19, in plenty of time to cast on for Ambah O’Brien’s ADVENTurer wrap on December 1. 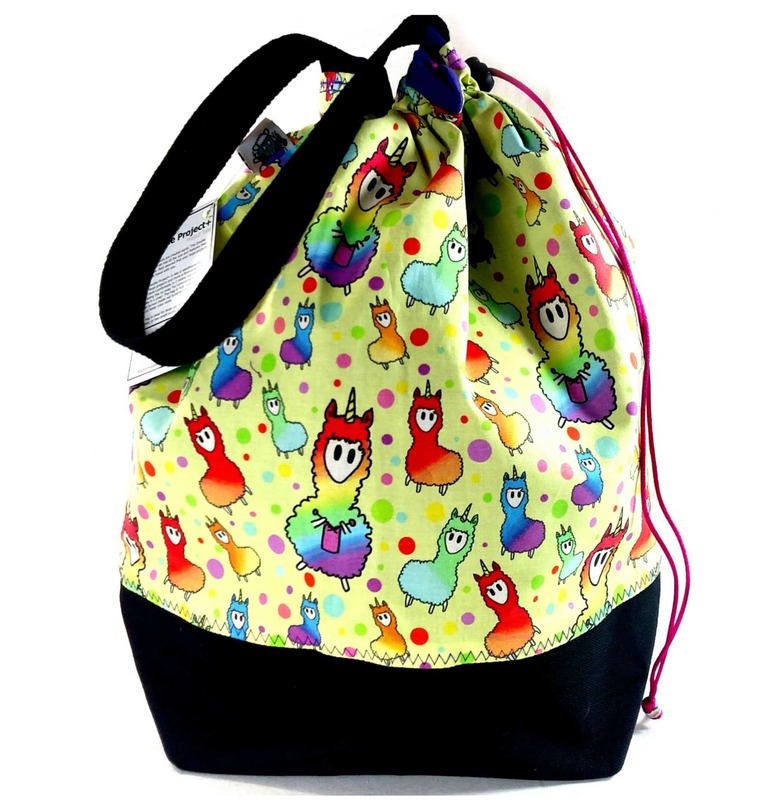 What’s better than a unicorn or llama? 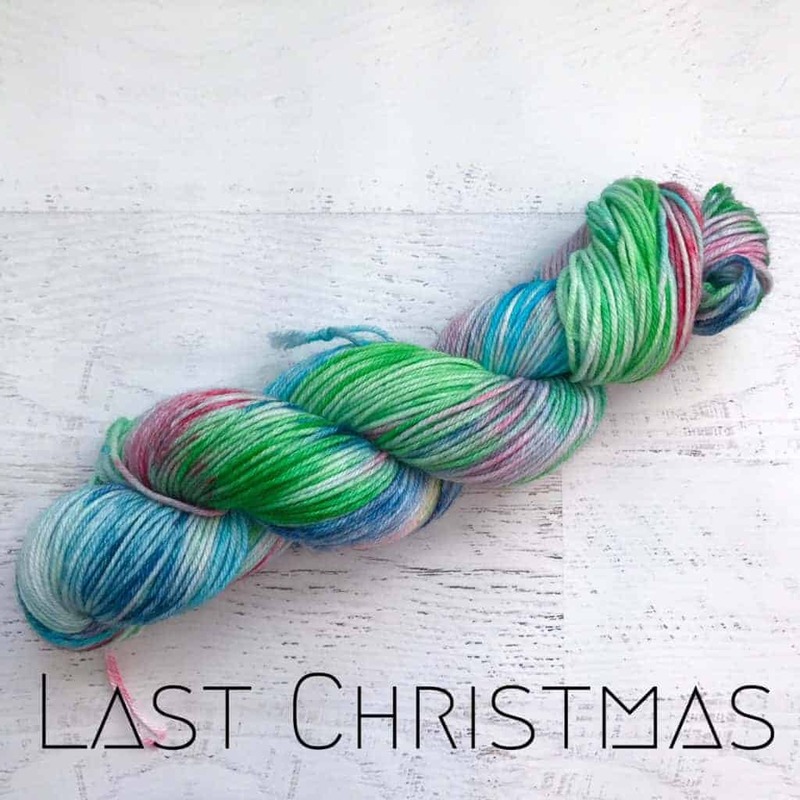 A rainbow knitting Llamacorn, of course! 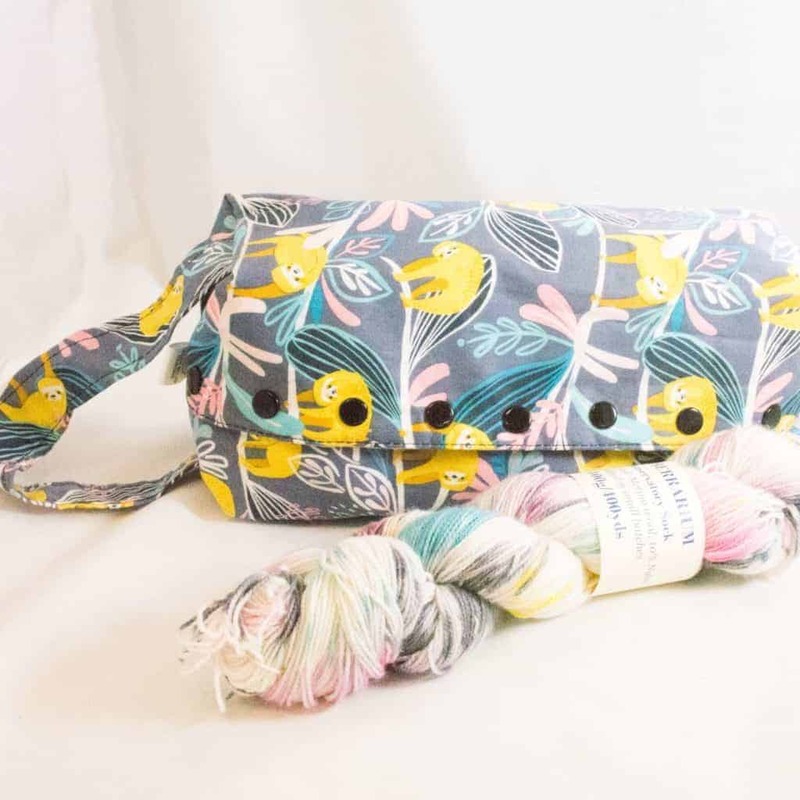 It’s been two years since Llamacorns were spotted in the Slipped Stitch Studios shop. 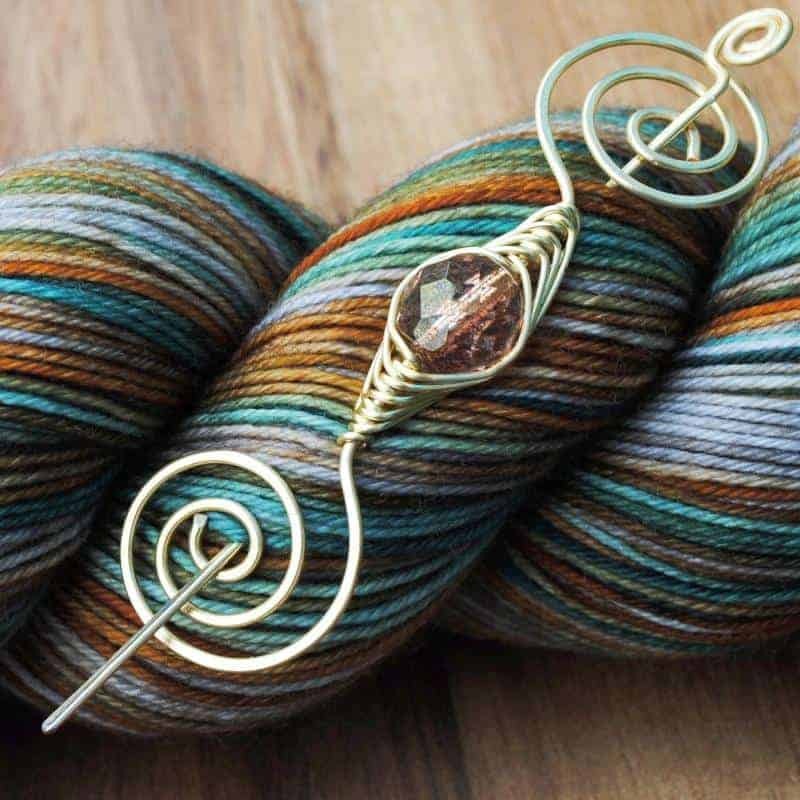 They’ve made their return, along with a limited edition matching yarn from Pandia’s Jewels. 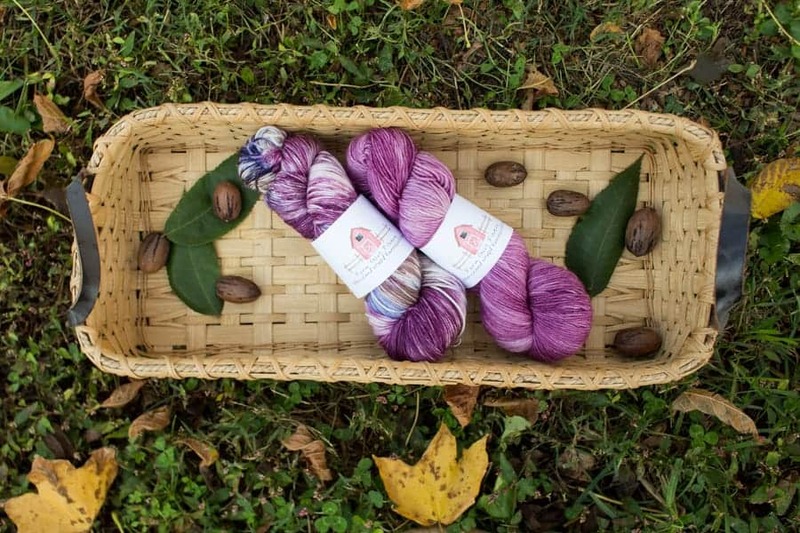 If you’re on the East Coast and looking for a fibry road trip this weekend, Katie and Kara of Nice and Knit will be at the Fiber Festival of New England (think Rhinebeck, but without the crazy crowds). 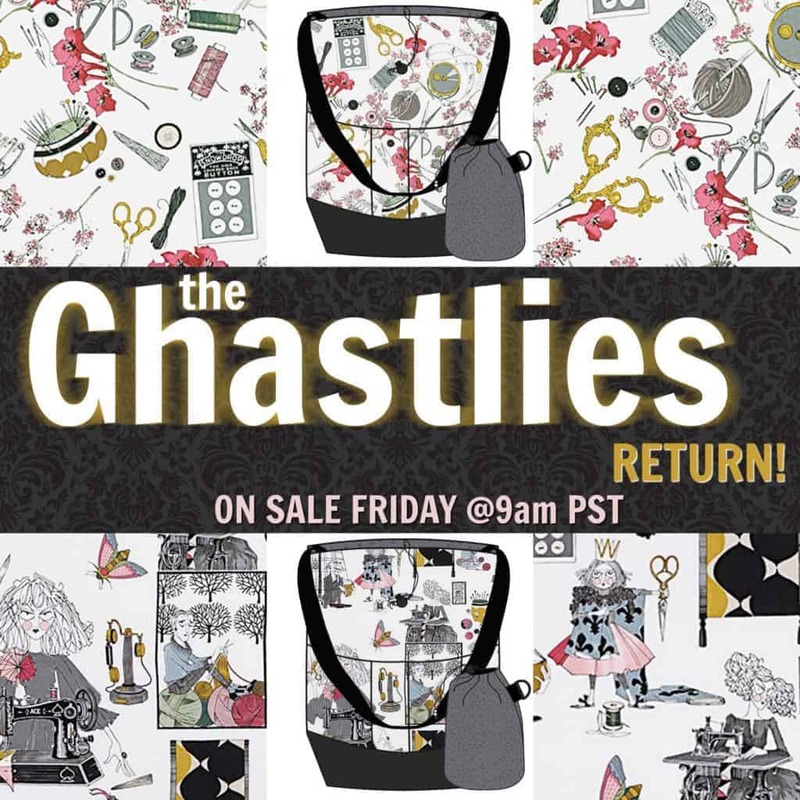 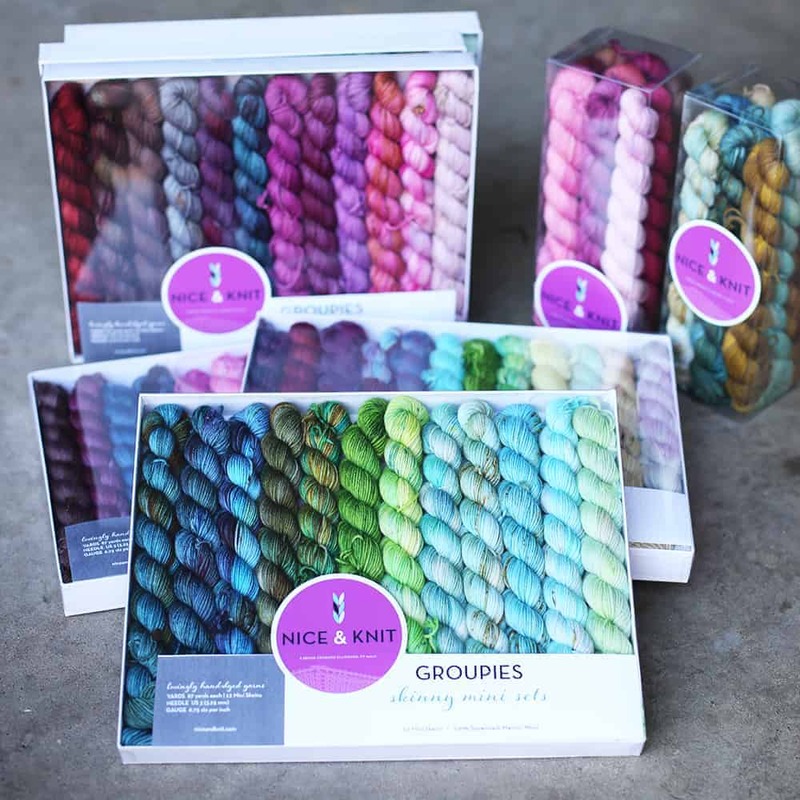 They’ll be bringing their latest samples, all of their yarn weights and bases and ton of kits. 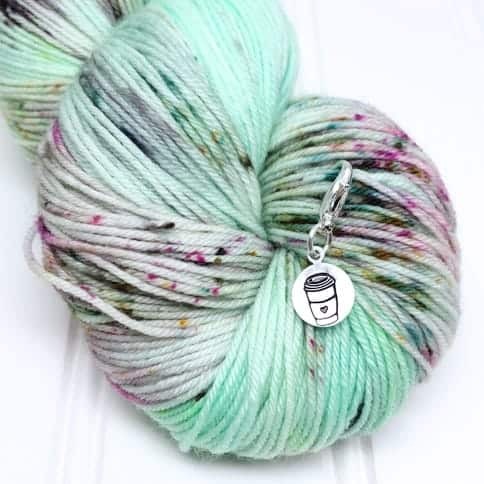 If you’re a cross stitcher, check out October House Fiber Arts’ newest release, The Knitter’s Alphabet. 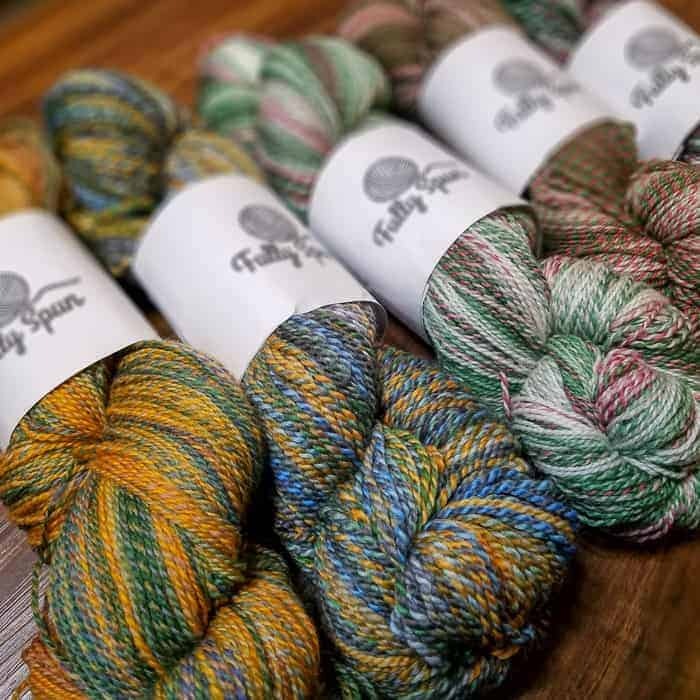 For the latest installment of Knitting Our National Parks, Bijou Basin Ranch takes us to the Croy Creek Trail System in southern Idaho, originally constructed for motorcycle riders and mountain bikers. 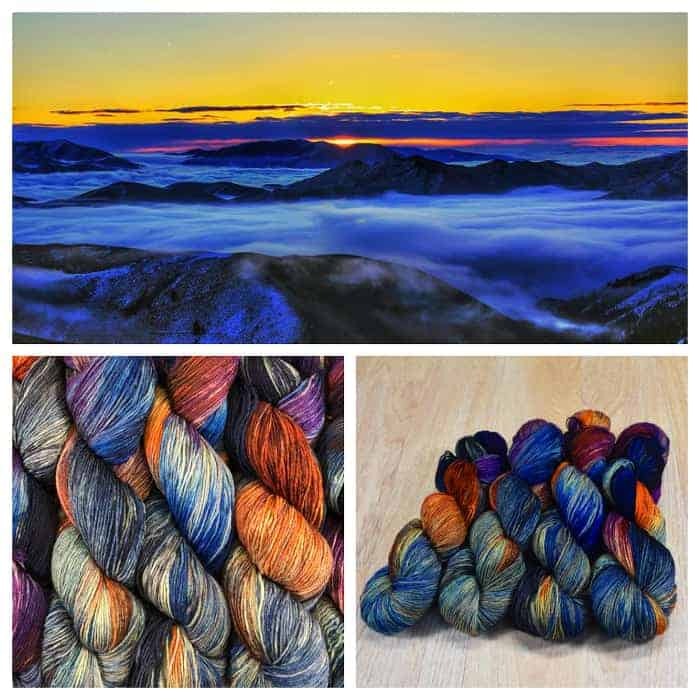 Here, you can take in a gorgeous winter sunrise like this one from Bullion Gulch, captured by Ace Hess from the Bureau of Land Management, which operates the trail system. 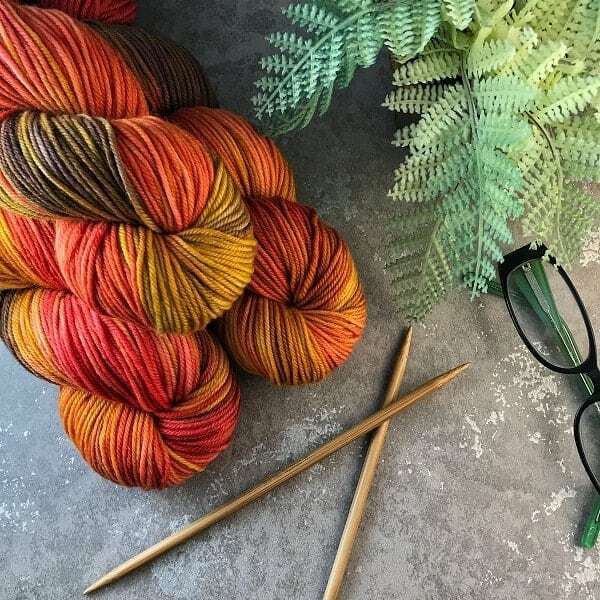 BBR called on Jonathan Berner of Seattle-based MJ Yarns to capture the subtlety and brilliance of the image with the colorway they’ve named Resplendence. 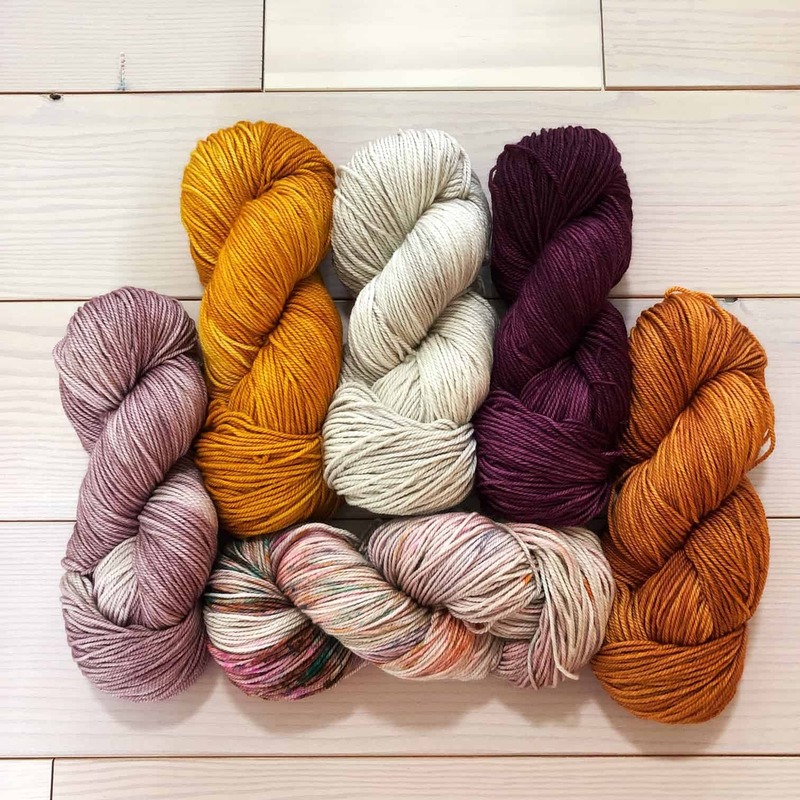 It will be dyed on Tibetan Dream sock yarn, a luxurious blend of 85% yak and 15% nylon that is warmer than wool and softer than Cashmere, perfect for your next hike (or just a nice, cold winter). 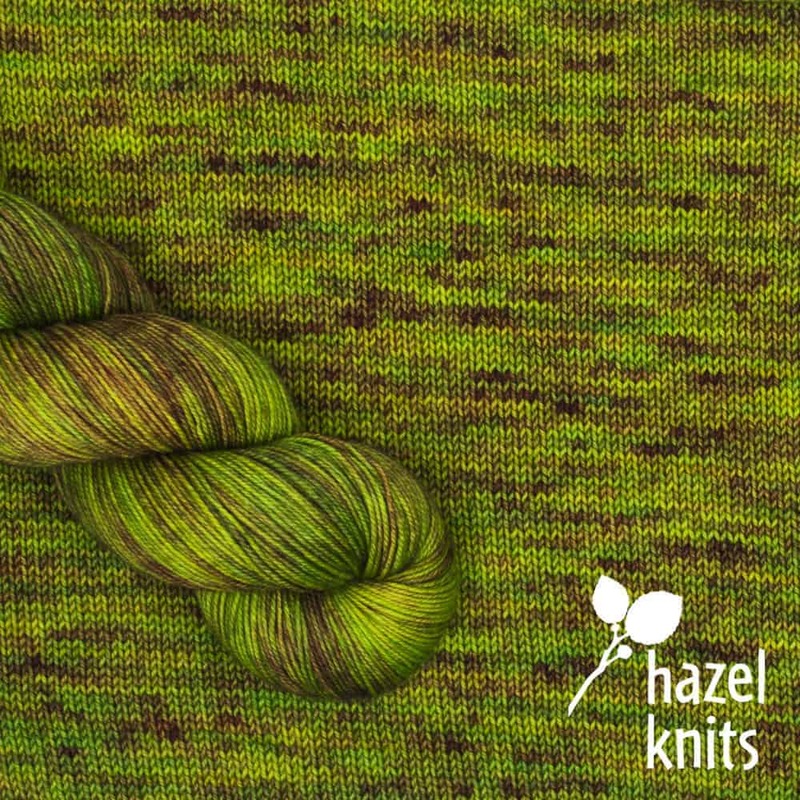 The yarn will be available to preorder on Indie Untangled through Friday, October 26. 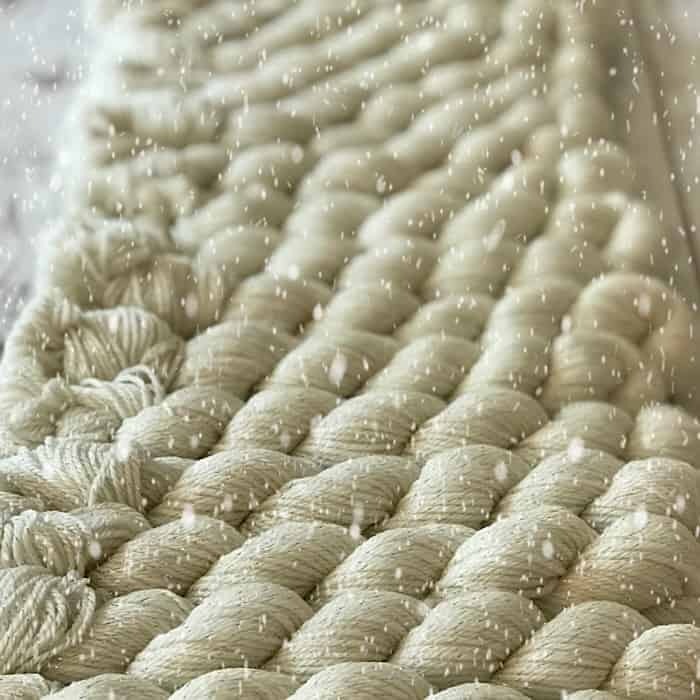 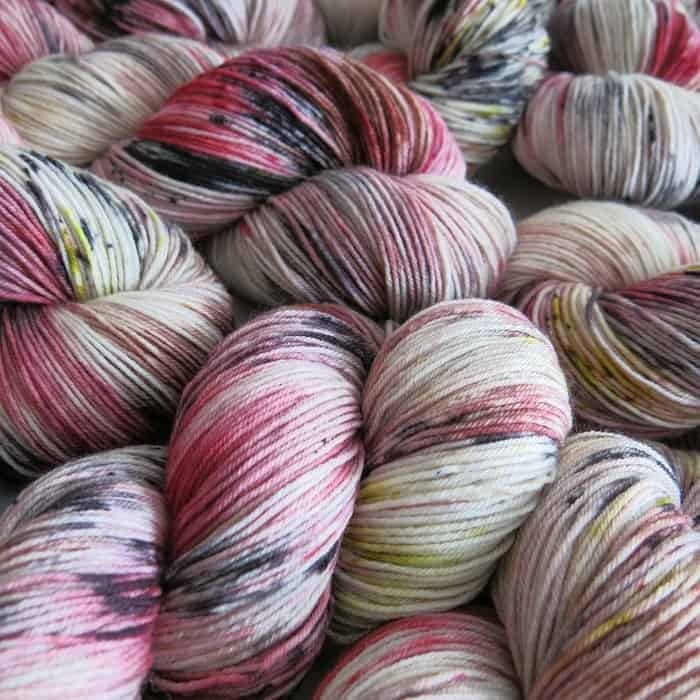 If you’ll be at Rhinebeck, you can see and pet the yarn in person at the Bijou Basin Ranch in booths 13 and 14 in Building C. It will also be on display at the Indie Untangled Trunk Show on Friday. 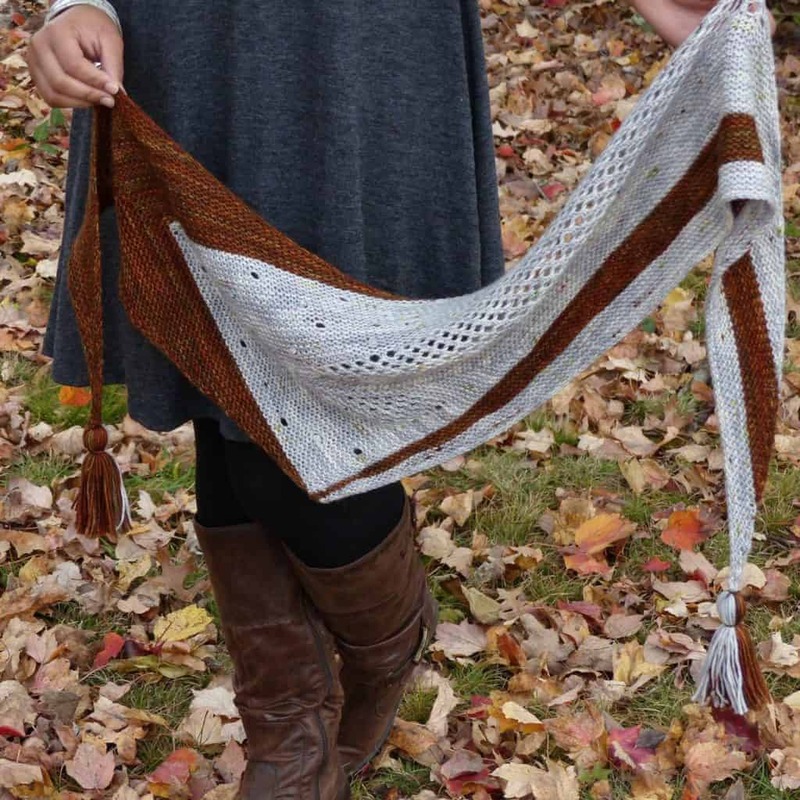 Kate of McMullin Fiber Co. is celebrating the start of fall (finally!) 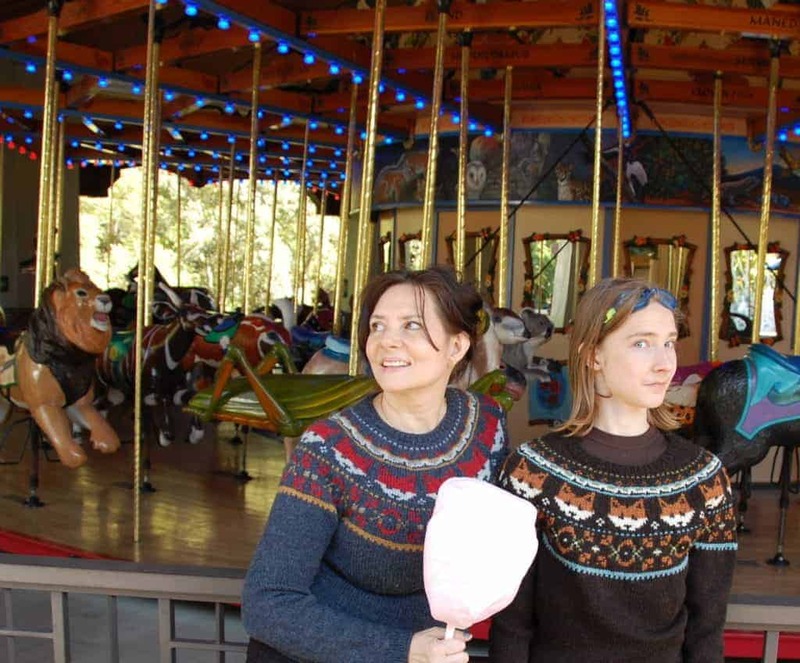 with her new Sweater Weather Collection. 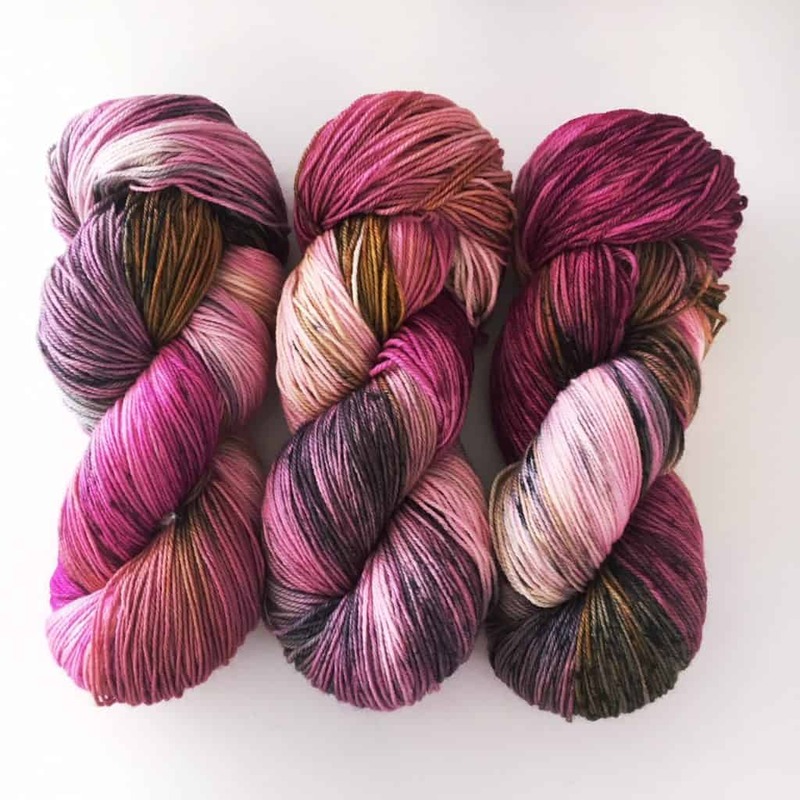 The collection includes Merino/Cashmere/nylon DK weight yarns and 80/20 Merino/nylon sock mini skeins in a few new colorways, including Hunting Tartan, La Vie En Rose and Vintage. 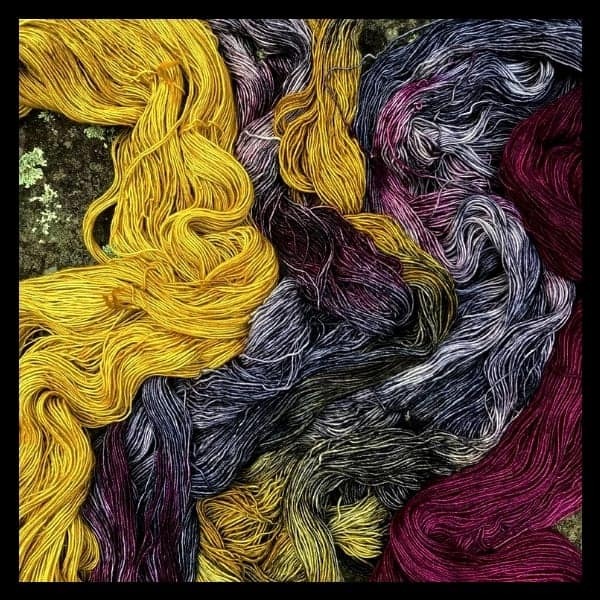 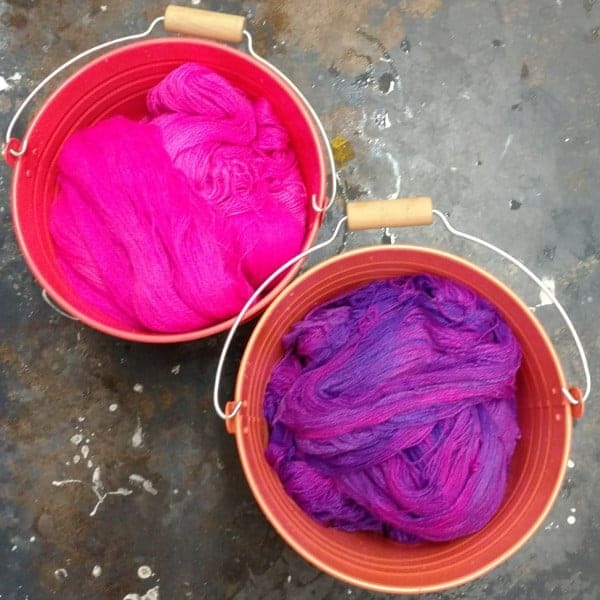 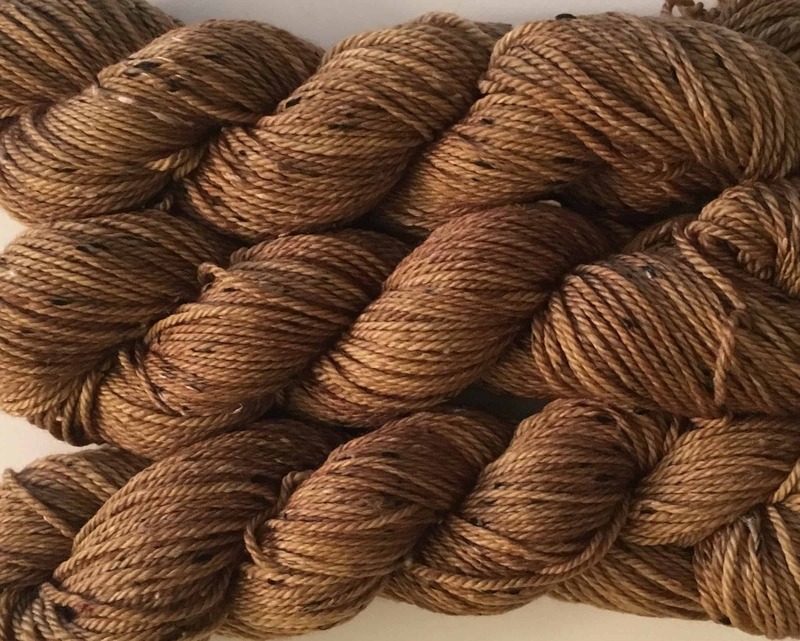 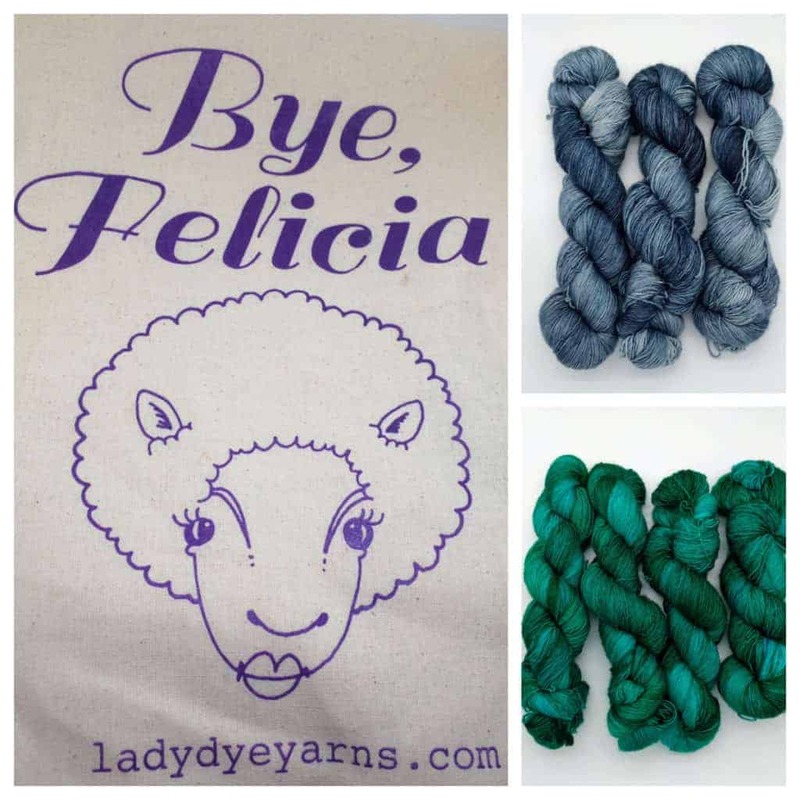 Shauna of Farm Girl Fibers just started dyeing yarn from her husband’s family farm in Alpine, Tennessee. 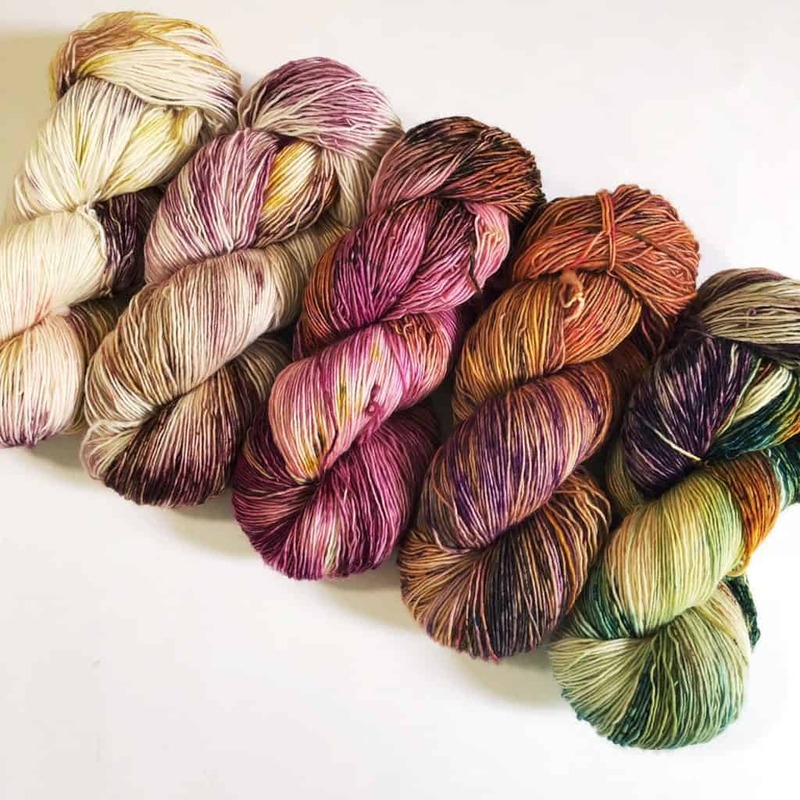 Many of her colorways are inspired by nature and her life on a farm. 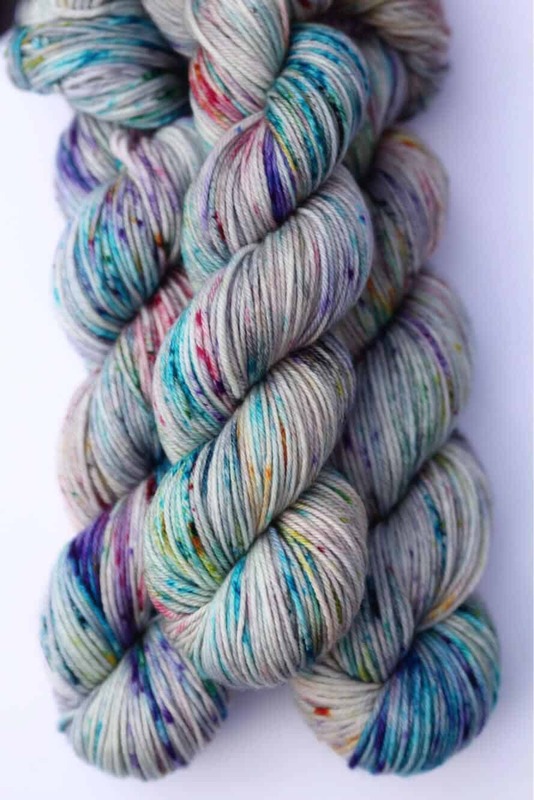 Indie Untangled newcomer October House Fiber Arts decided to post in an appropriate month, during its fifth birthday. 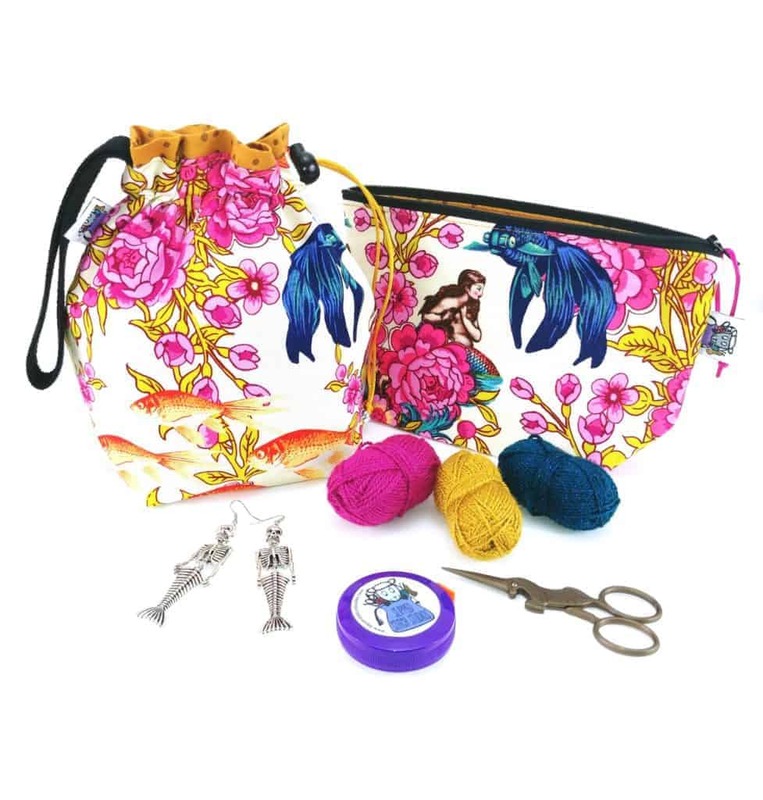 Dyer Robin also designs knitting-themed cross stitch. 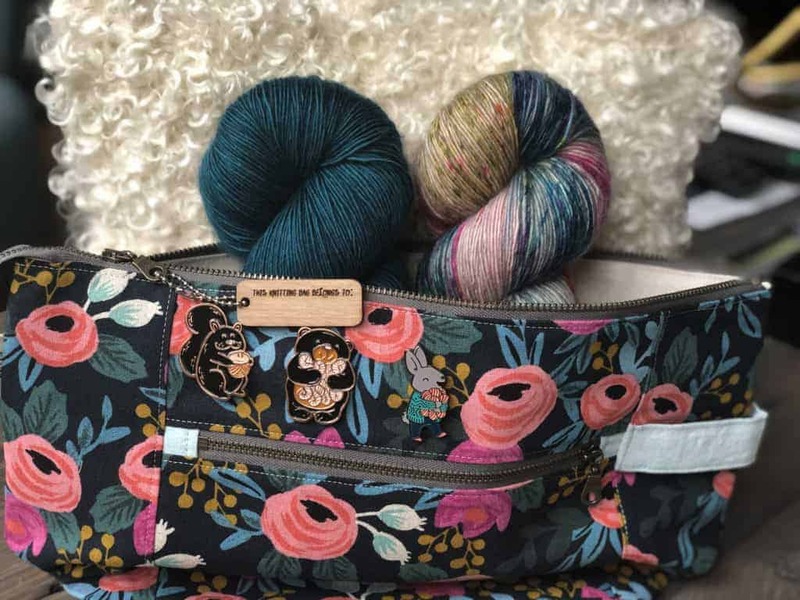 Jean of Midmitten Designs has teamed up with Splash of Color Yarns on a holiday kit that includes a project bag, with a vinyl window for a peek at what’s inside, and five Merino/nylon mini skeins. 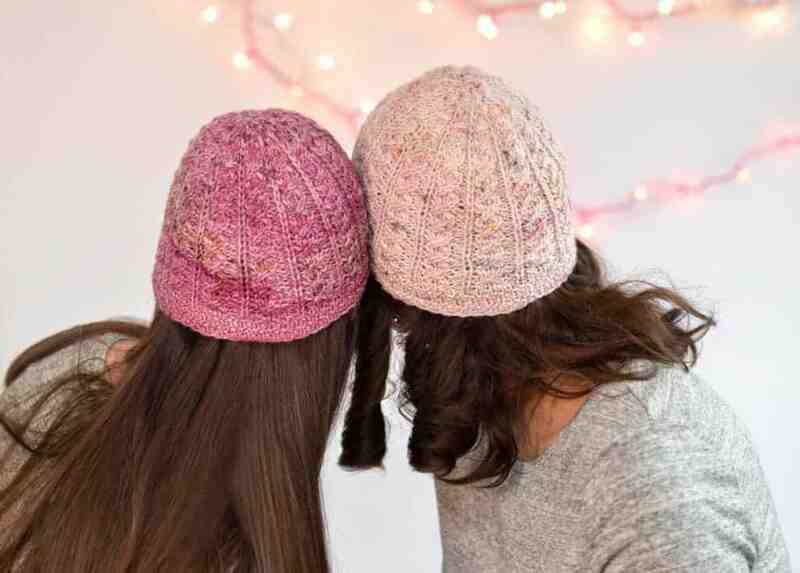 Softyard Designs’ Saxony Hat is perfect for a cable lover! 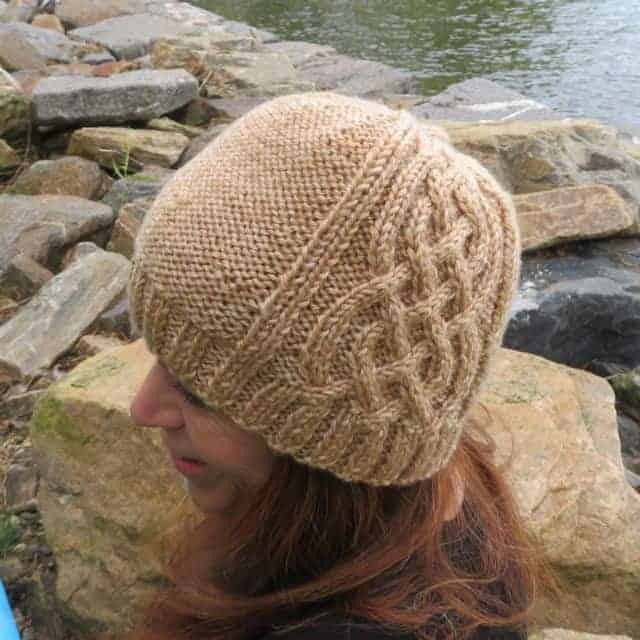 This unisex design comes with instructions for working flat or in the round and knits up super fast in aran-weight yarn. 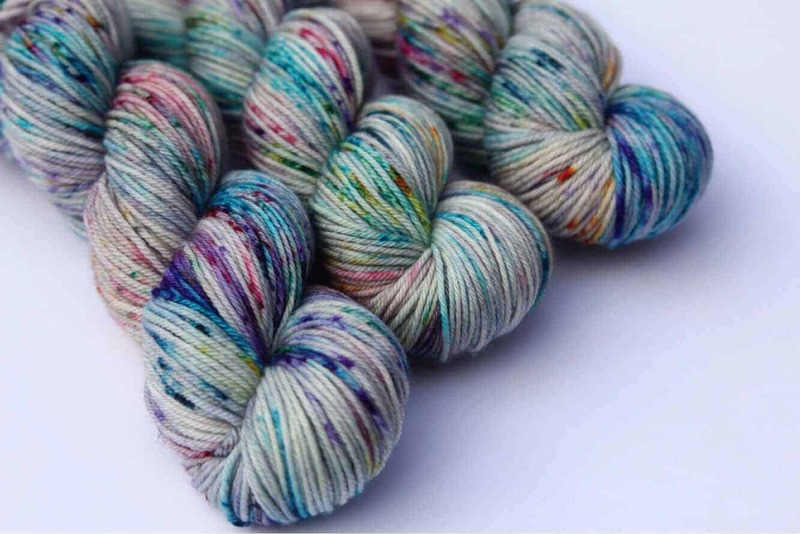 Indie Untangled newcomer 7th Floor Yarn is marking “tweed season” with this Aran Tweed Superwash 85% Merino/15% Nep. 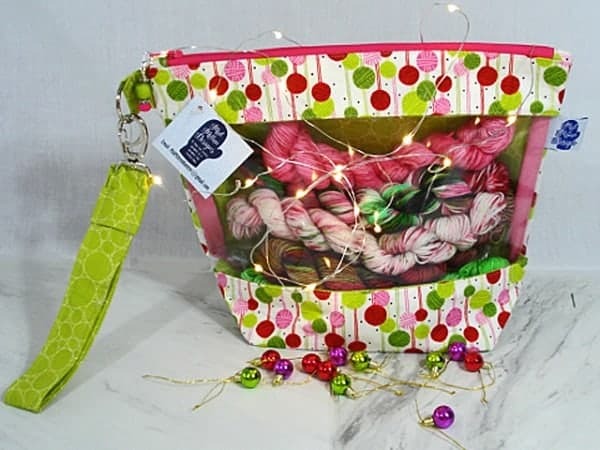 Wild Hair Studio has a limited number of Bertie Bott’s Every Flavour Beans 12 Days of Christmas Advent Calendars. 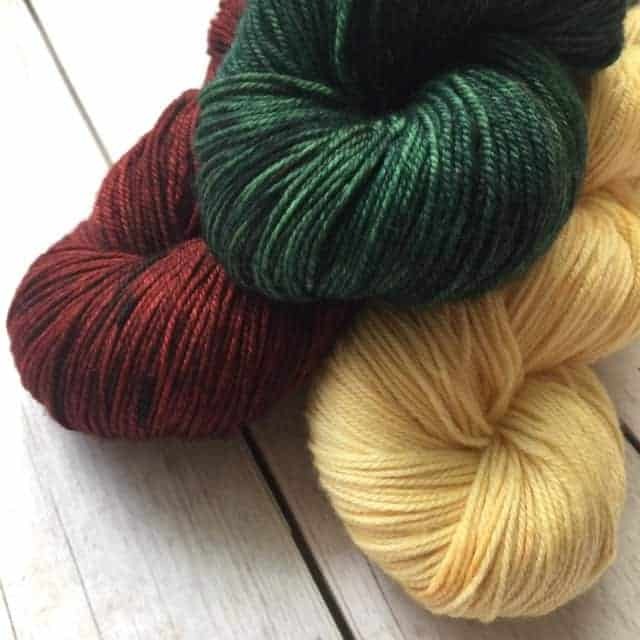 When Sandra of Duck Duck Wool signed on to create a colorway for the Knitting Our National Parks series, I was thrilled. When I saw her inspiration photo, a shot of Glacier National Park in Montana, I got even more excited. 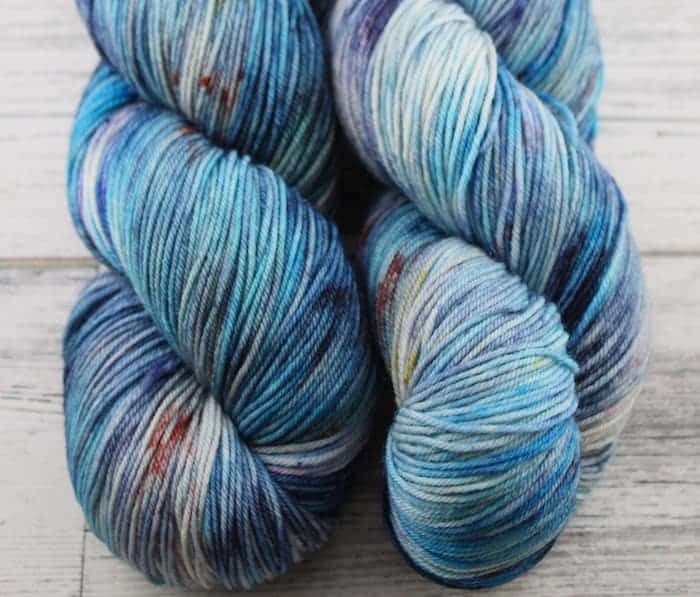 Then, when she emailed me the photos of her colorway, Glaciers and Wildflowers, I may have done a little yarny happy dance. 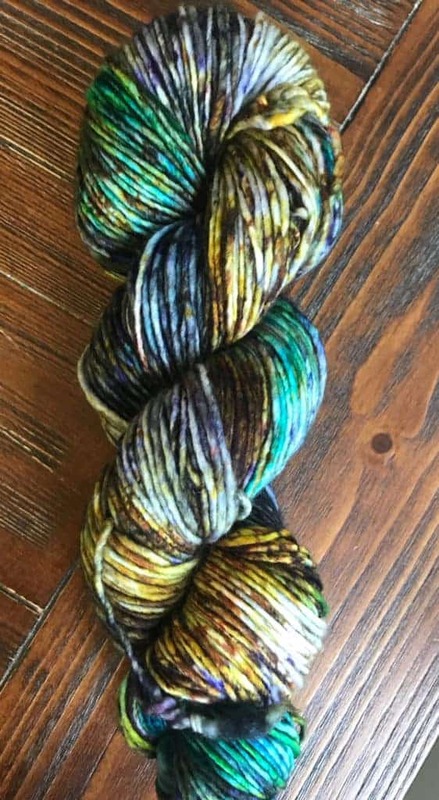 How stunning is this?! 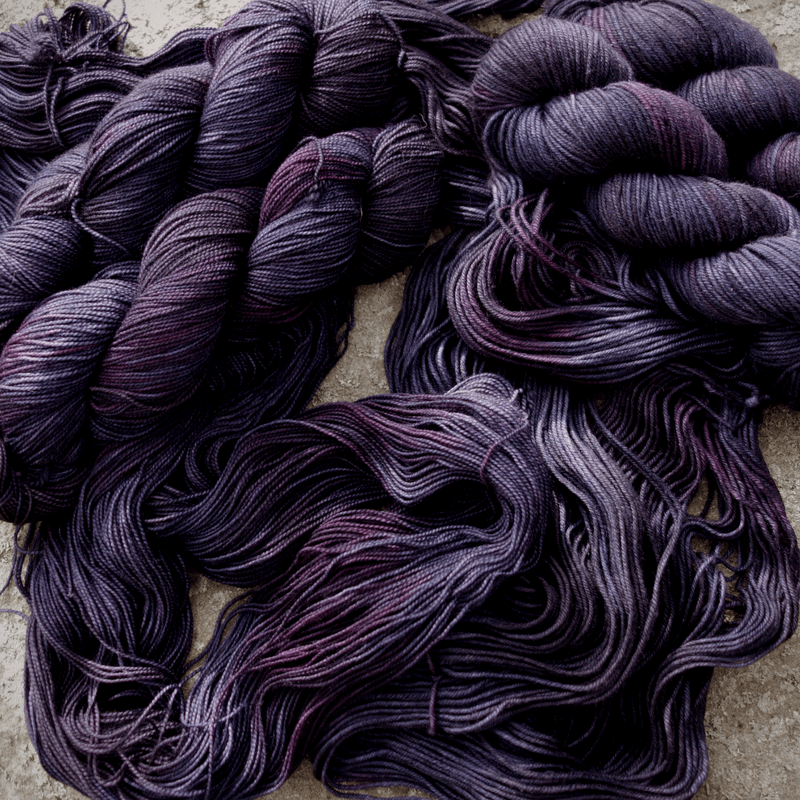 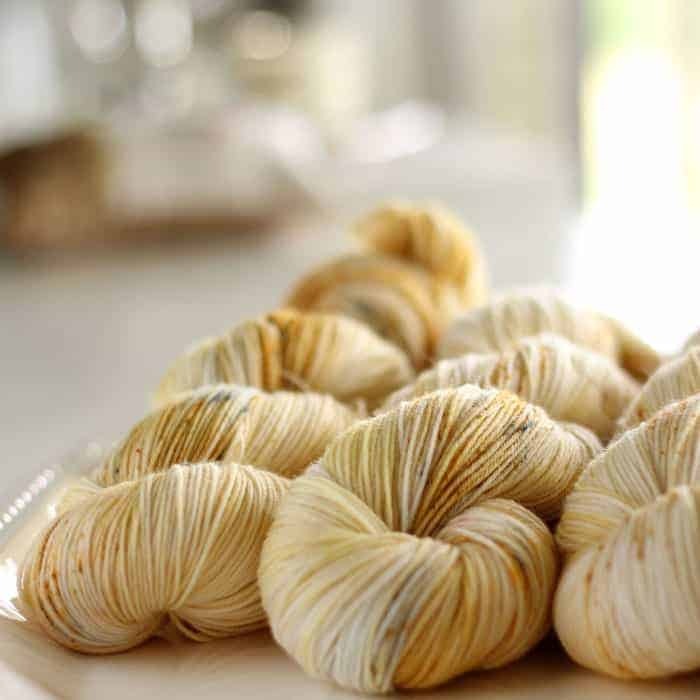 And Sandra is dyeing it on not one base, but two — her Silky Singleton, a blend of 70% Merino and 30% silk for shawls and summer tops, and DK Limited, a Superwash Merino that you can use for hats, cowls, mitts and, of course, sweaters you can wear now. The yarn will be available to preorder here through Friday, Dec. 22, and will ship the last week of January 2018. 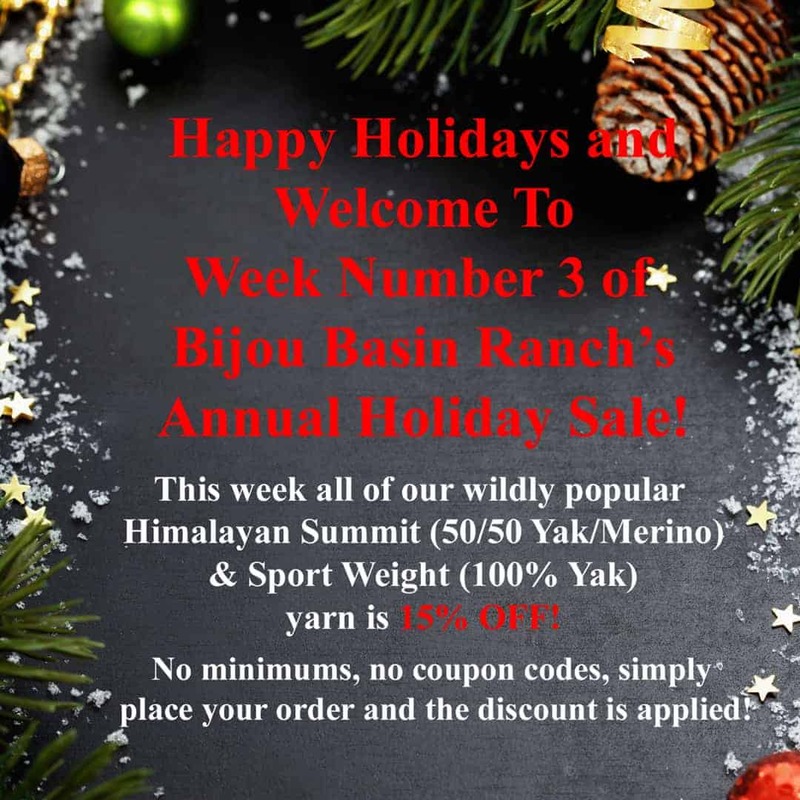 As always, 10% of sales will be donated to the National Park Foundation. 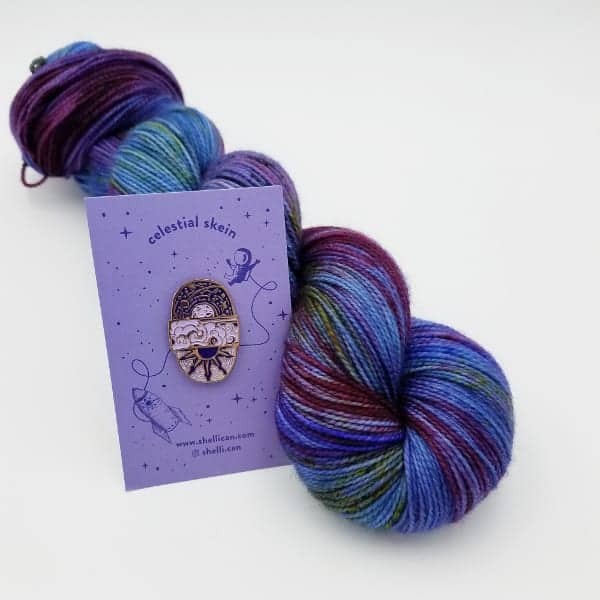 Another Knitting Our National Parks installment means we get a limited edition POP Thru The Parks souvenir from That Clever Clementine! 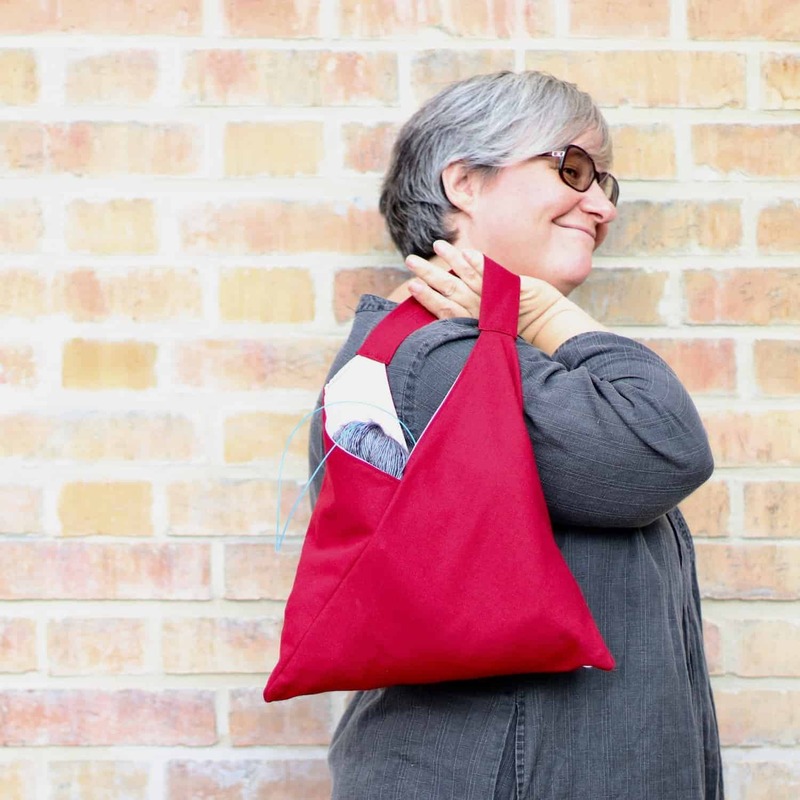 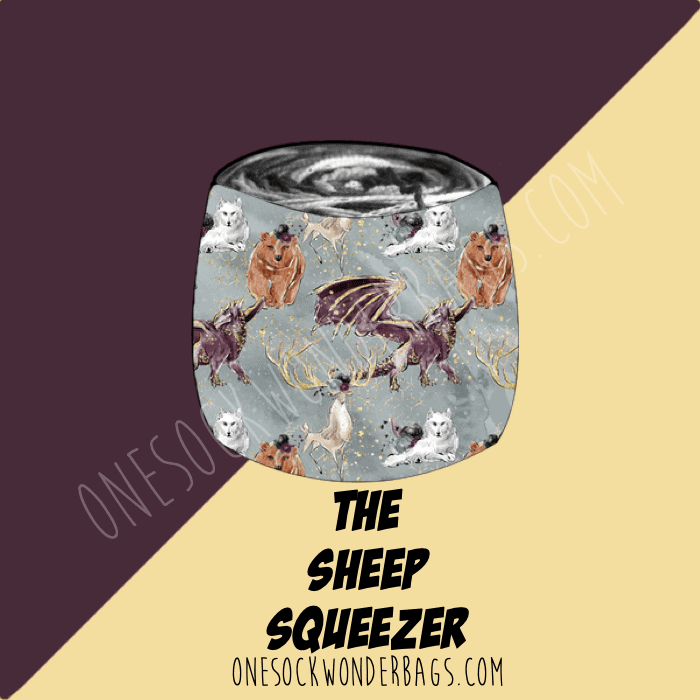 Vicki has saved one of her most POPular products for the final one of her collection. 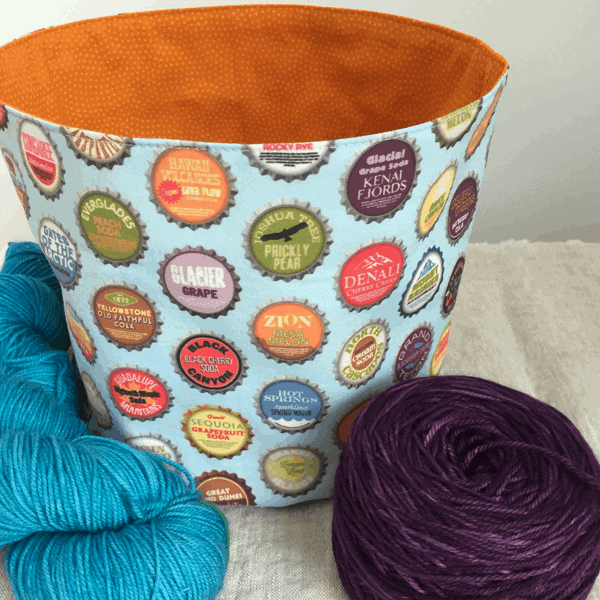 These fabric yarn bowls (which don’t have to be used only for yarn) will be available to preorder today starting at 9 a.m. Eastern time until sold out (previous batches have sold out in less than two hours so… head on over!). 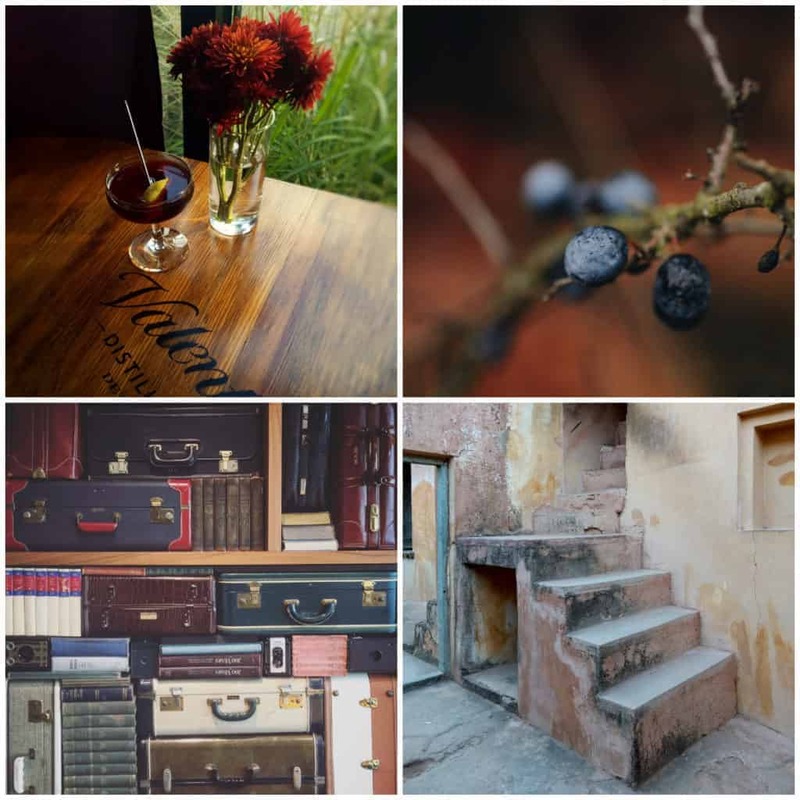 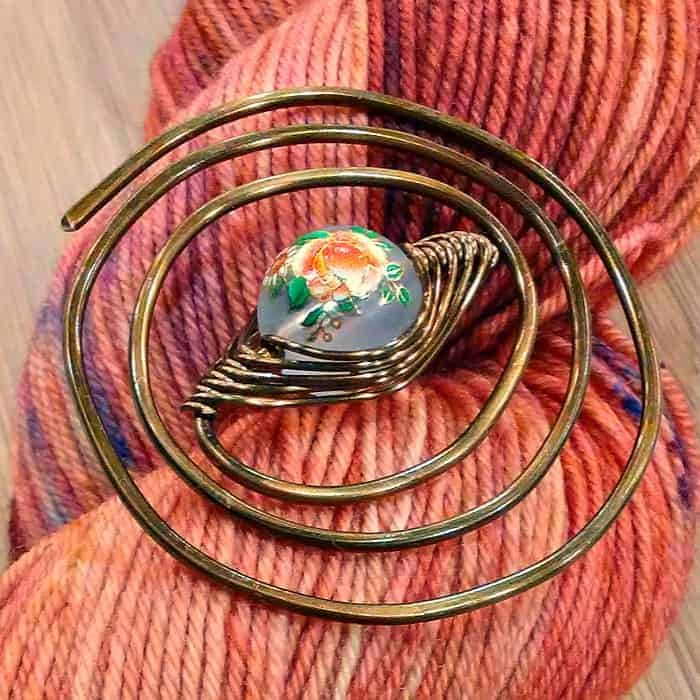 If you’ve been looking around for that special shawl pin, or one to add to your collection, or if you just like looking at shiny things, I suggest you head over to the Porterness Studio website. 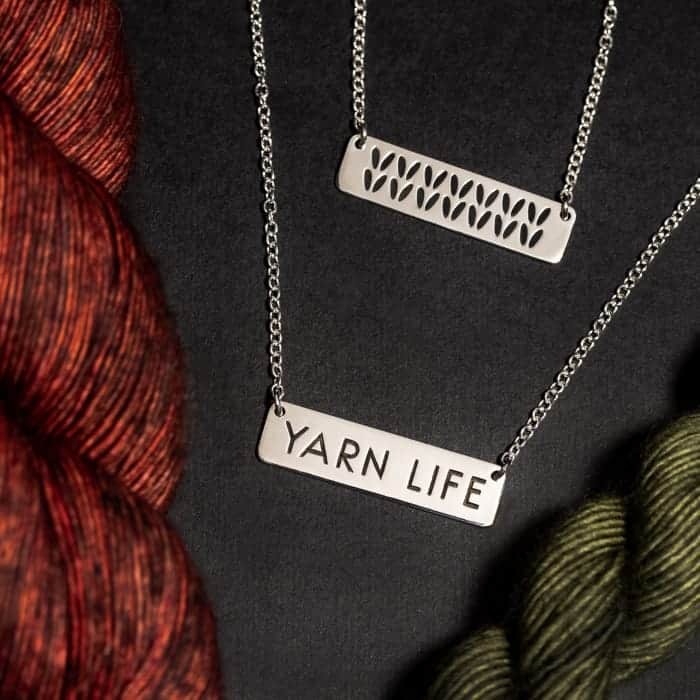 Jen makes her shawl pins and buttons using the 5,000-year-old lost wax casting process, with each piece either hand carved out of wax or 3D printed in wax, cast in sterling silver or bronze and hand finished by Jen in Los Angeles. 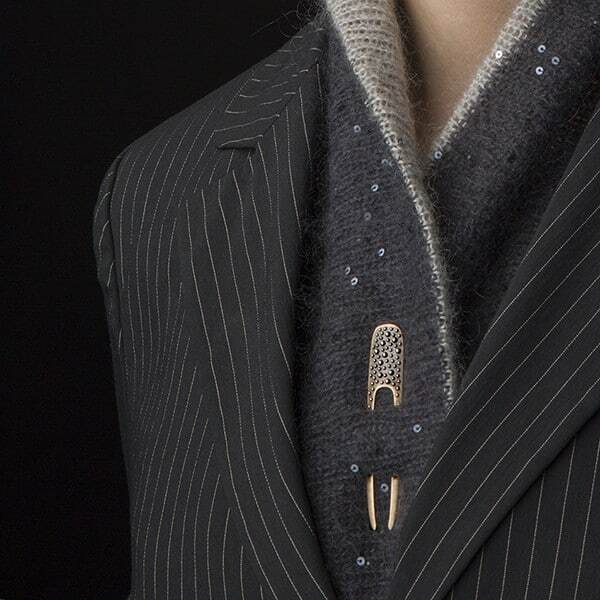 Her regular jewelry is pretty lovely, too. 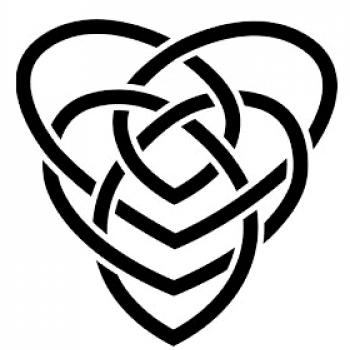 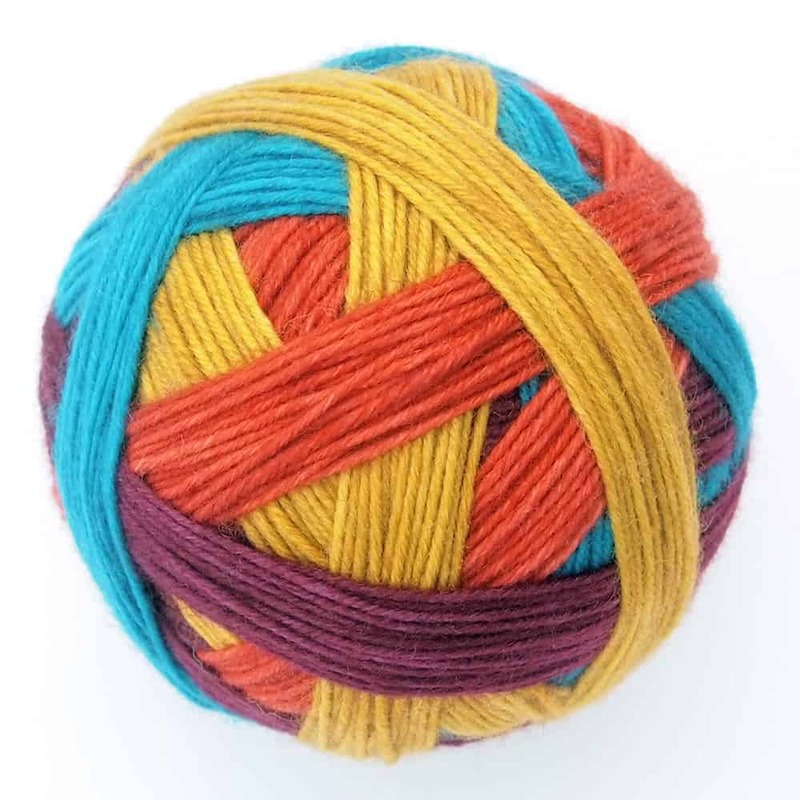 Indie Untangled readers get 20% off with the code Indie20. 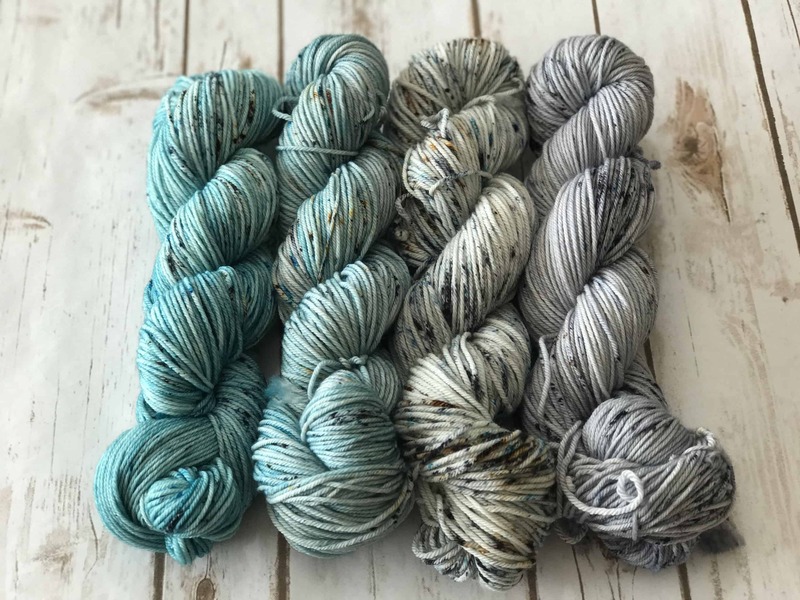 Fresh off her trunk show at Woolyn, where I drooled over her yarn and samples, Lauren of Old Rusted Chair has released four new colorways. 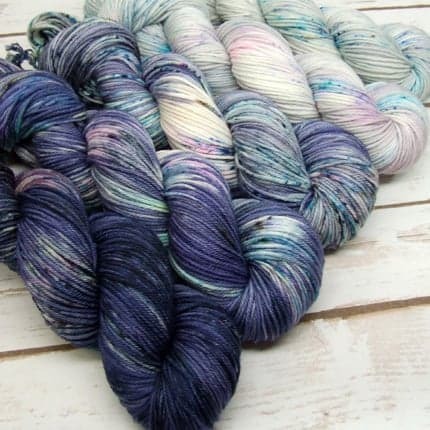 From top to bottom are Starboard, Prankster, Glint and Heatwave, which are available on Lauren’s Squish base, a 4-ply Superwash Merino. 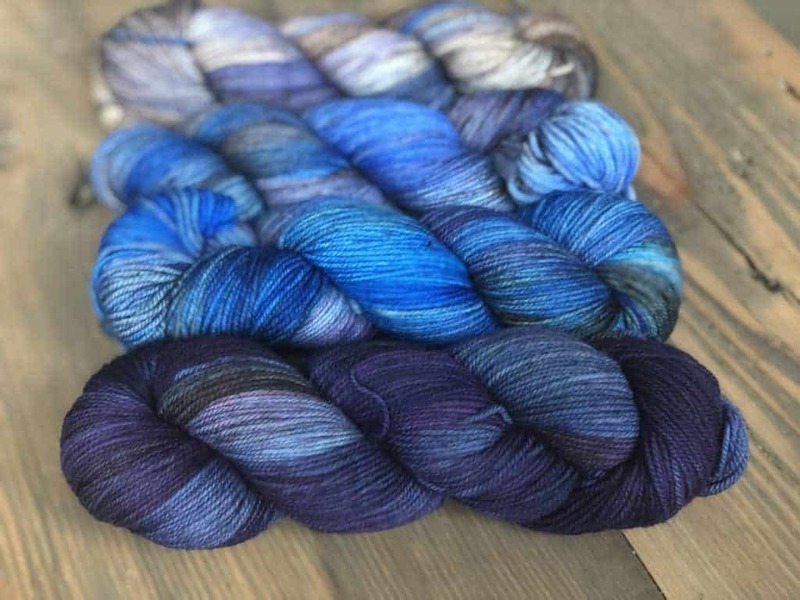 Also fresh off her appearance at Woolyn last weekend, Julia of Pandia’s Jewels has released some perfect heavy-weight bases. 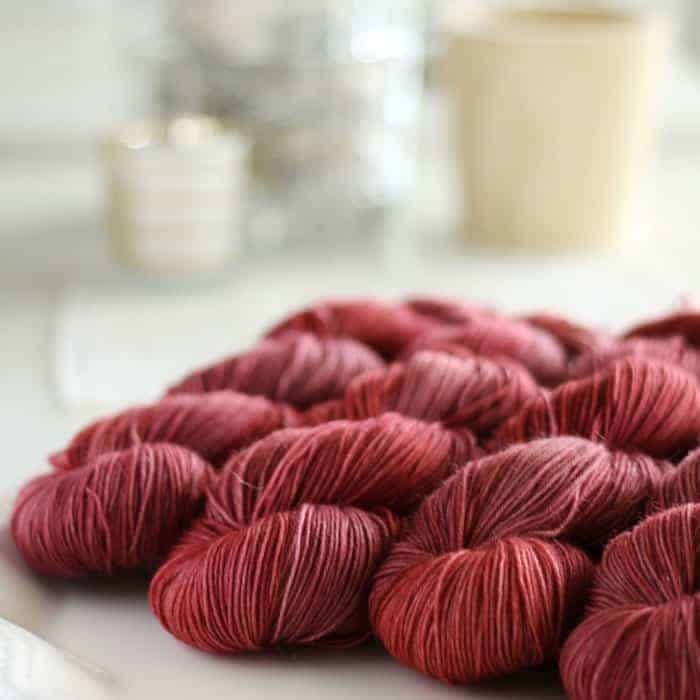 Just in time for winter, you can now find a variety of DK weight yarns in various blends of Merino, nylon, Cashmere and sparkle. 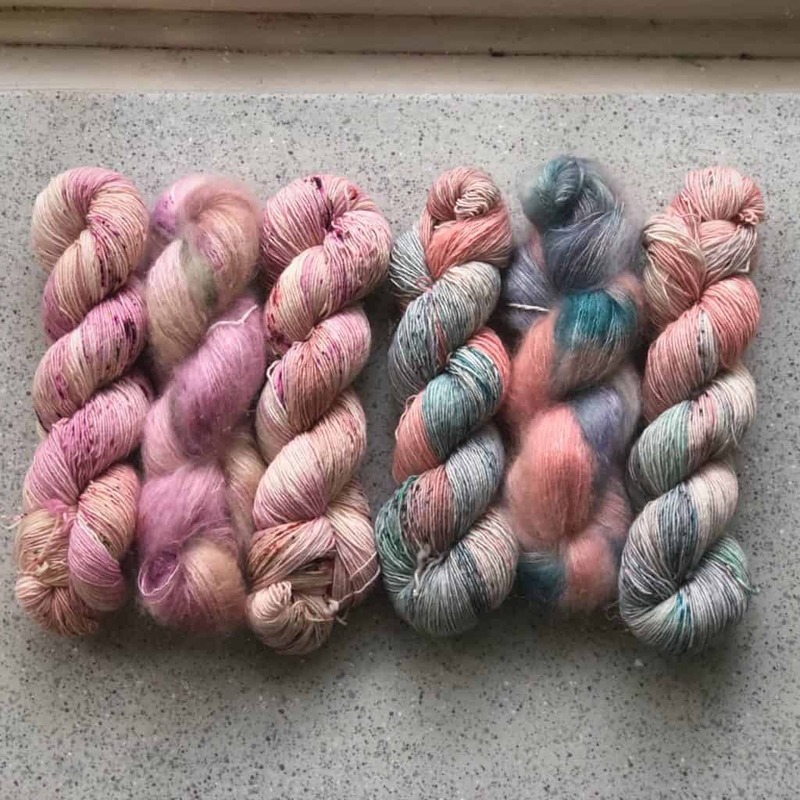 She even has a few fade kits. 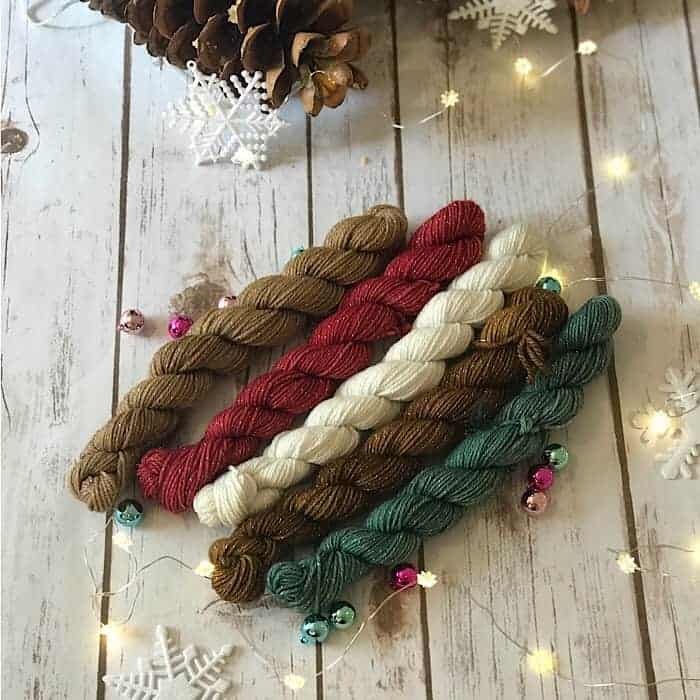 Katie of Never Enough Thyme has updated her shop with Christmas colorways, including heel/toe sock sets in Sugar Plum Fairy, Mistletoe’s for Two and Christmas Cookies. 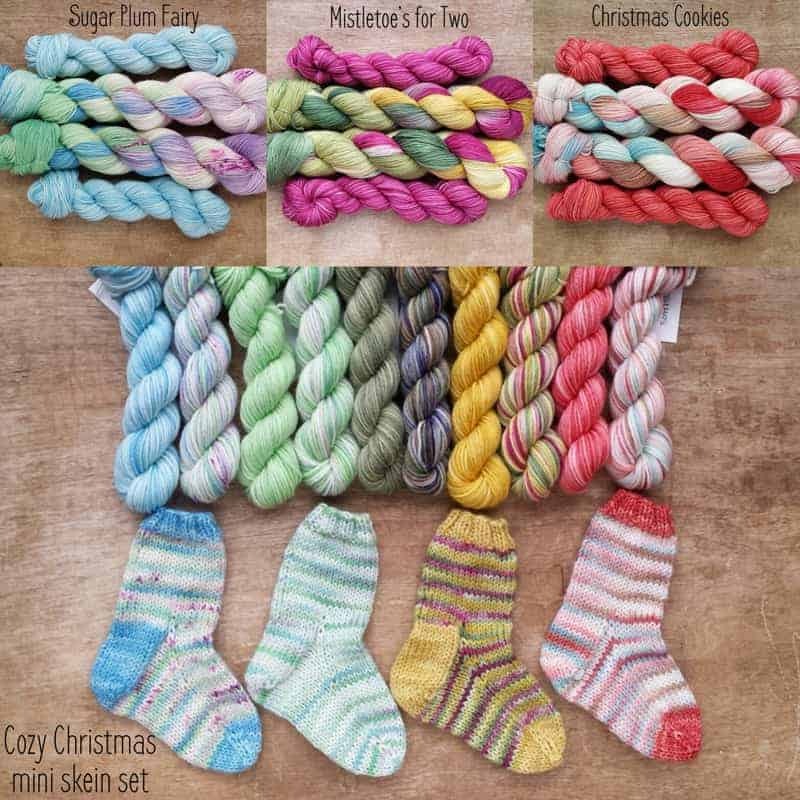 There are also lots of Cozy Christmas mini sets, perfect for knitting ornaments for your tree (don’t worry, there is still time). 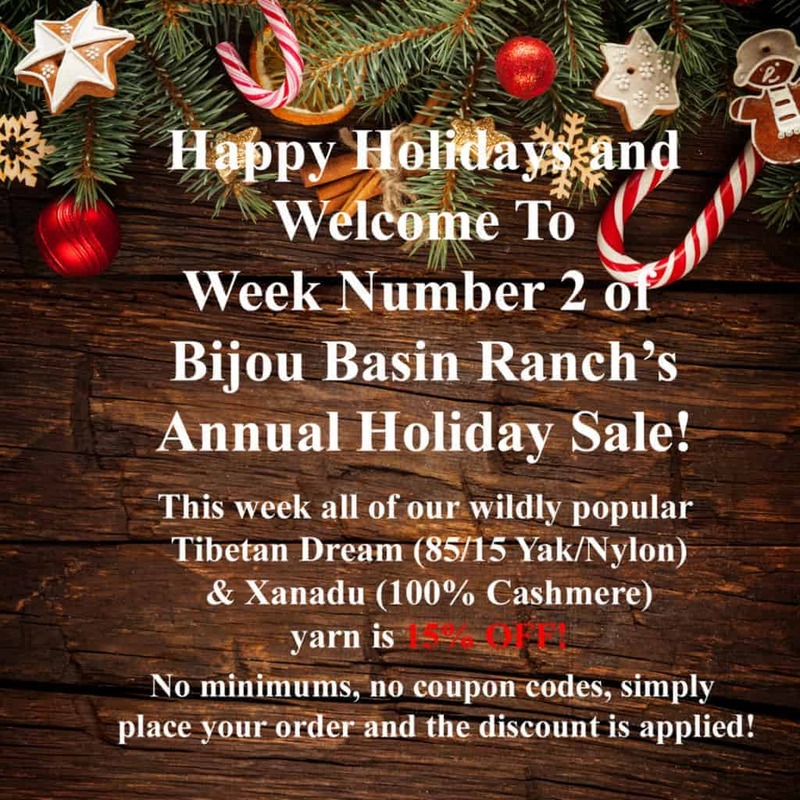 For Week 2 of their annual holiday sale, Bijou Basin Ranch is giving you 15% off Tibetan Dream sock yarn and Xanadu Mongolian cashmere yarn, with no coupon code needed, through midnight Mountain time today. 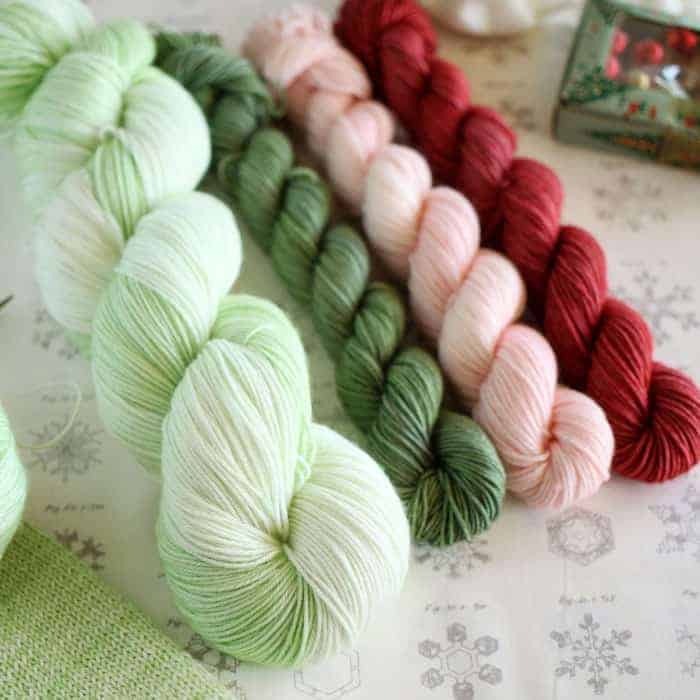 And all U.S. orders also ship free through Dec. 24. 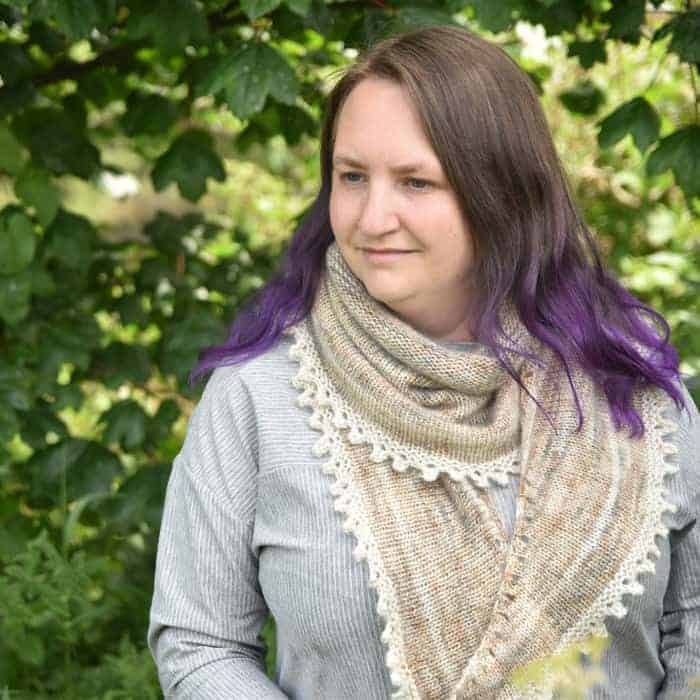 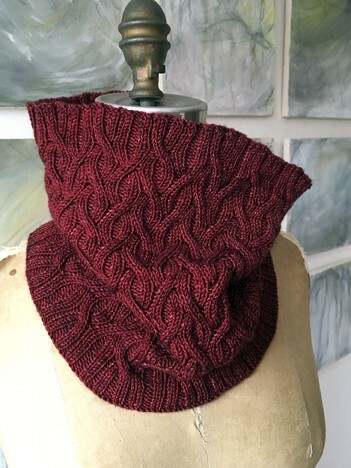 If you’re short on time and yardage, but need some holiday gifts, Robynn’s Nullkommanix cowl just might be what you’re looking for. 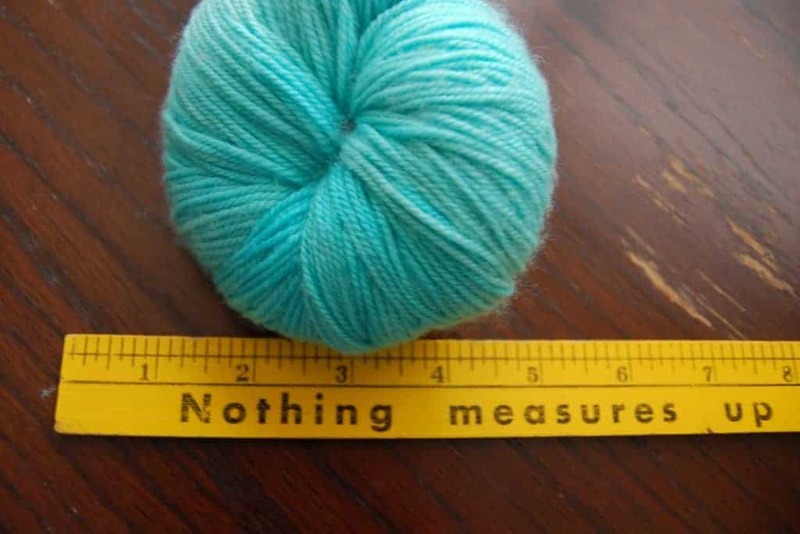 It’s named for how long it takes to make — 0.0 seconds — and is free for Robynn’s newsletter subscribers. 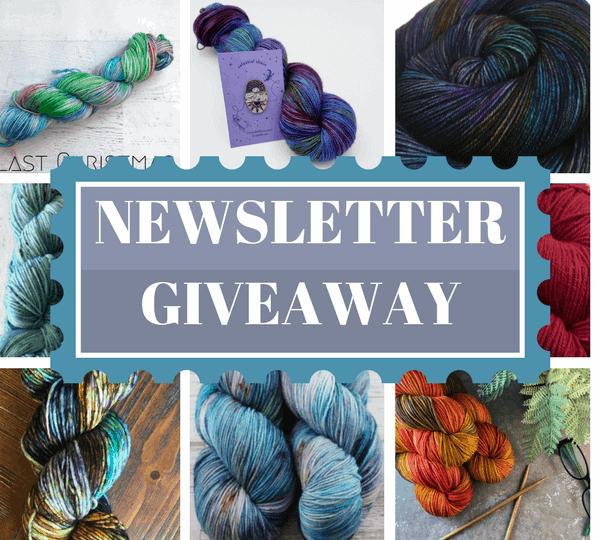 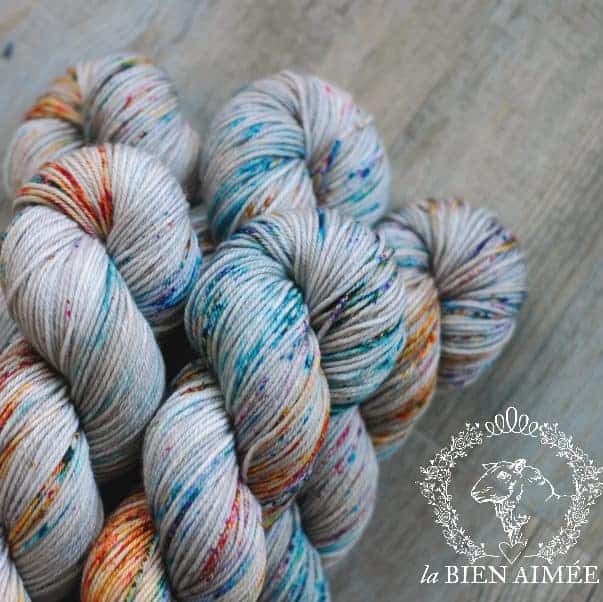 Since I’m waiting until after the craziness of the holidays for Aimée to ship her yarn to me, I’ve decided to extend the preorders for Automne à Rhinebeck a couple of weeks. 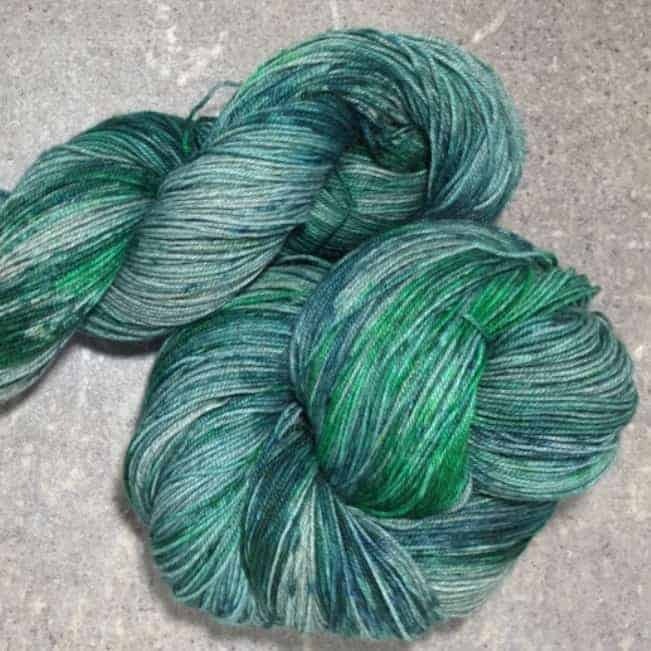 My husband just requested a hat in the DK, so the magic of these skeins is real! 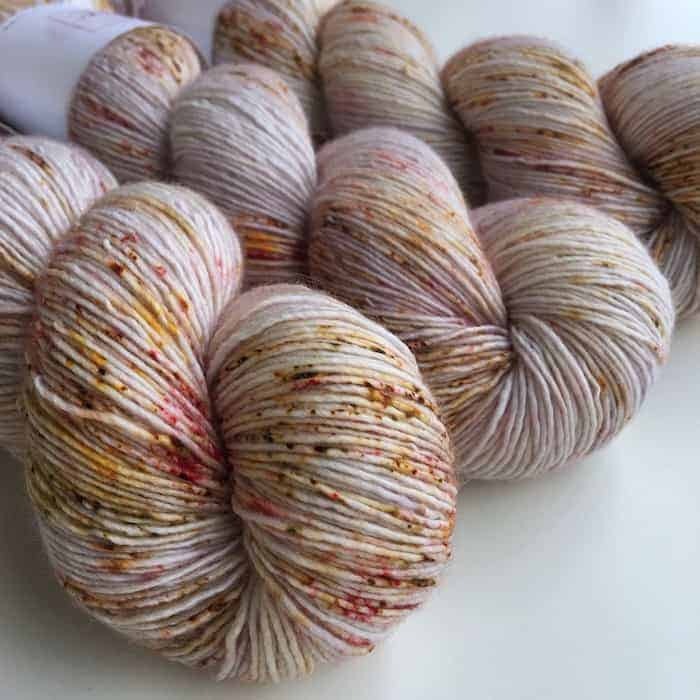 Here’s a look at the first-ever colorway for the first-ever installment of the Indie Untangled Where We Knit Yarn Club — Ami of Lakes Yarn and Fiber’s Drops of Honey. 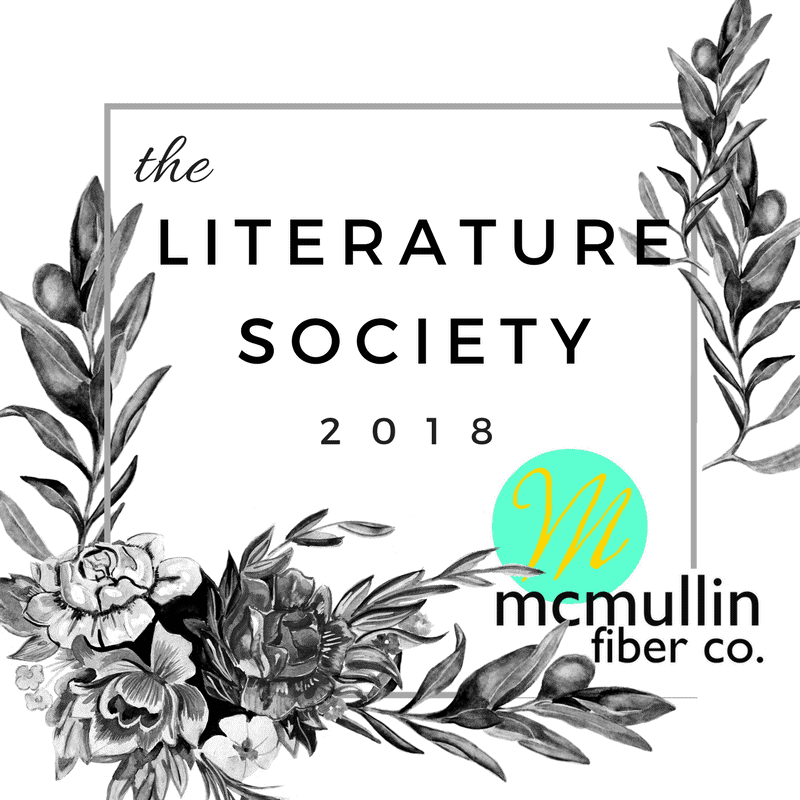 You can expect breathtaking exclusives like this if you sign up for the 2018 club. 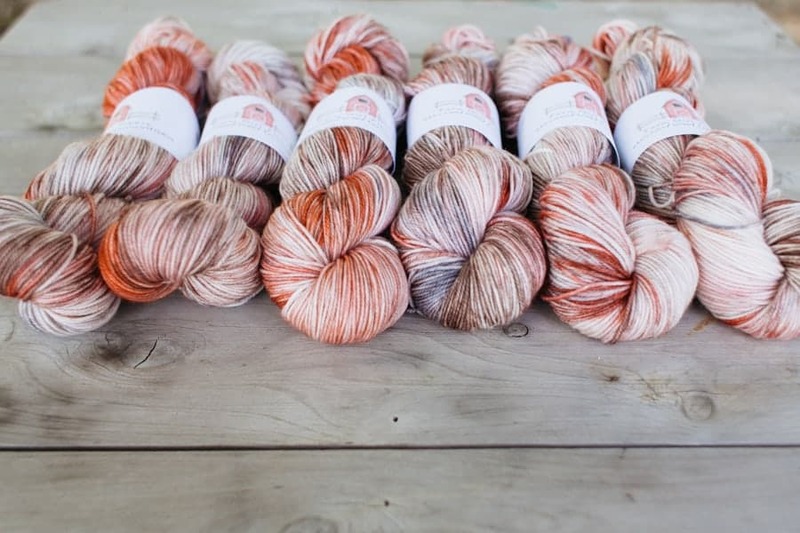 Next year, four indie dyer/designer teams — Hue Loco & SweaterFreak Knits, Pandia’s Jewels & C.C. 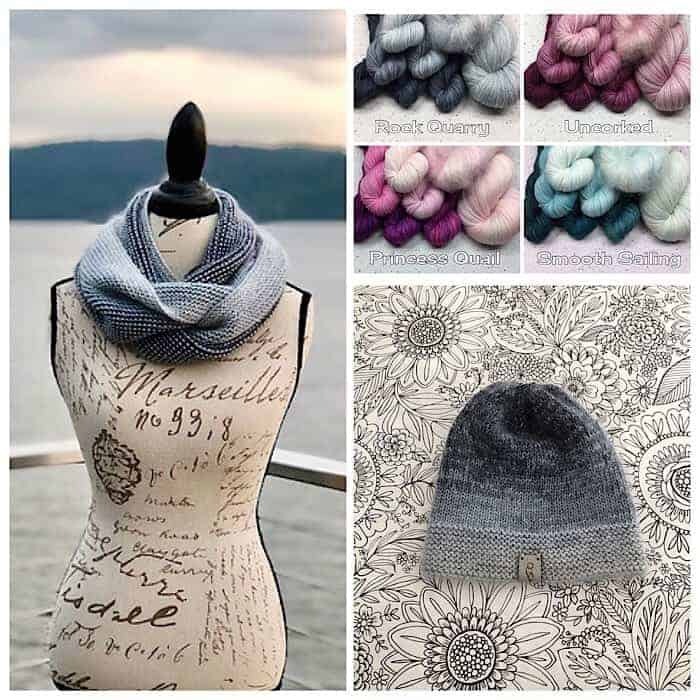 Almon, Little Fox Yarn & Caitlin Hunter and Dark Harbour Yarn & Amy van de Laar — will collaborate on an exclusive colorway and accessory pattern inspired by the places they knit. Sign-ups run through Dec. 31. 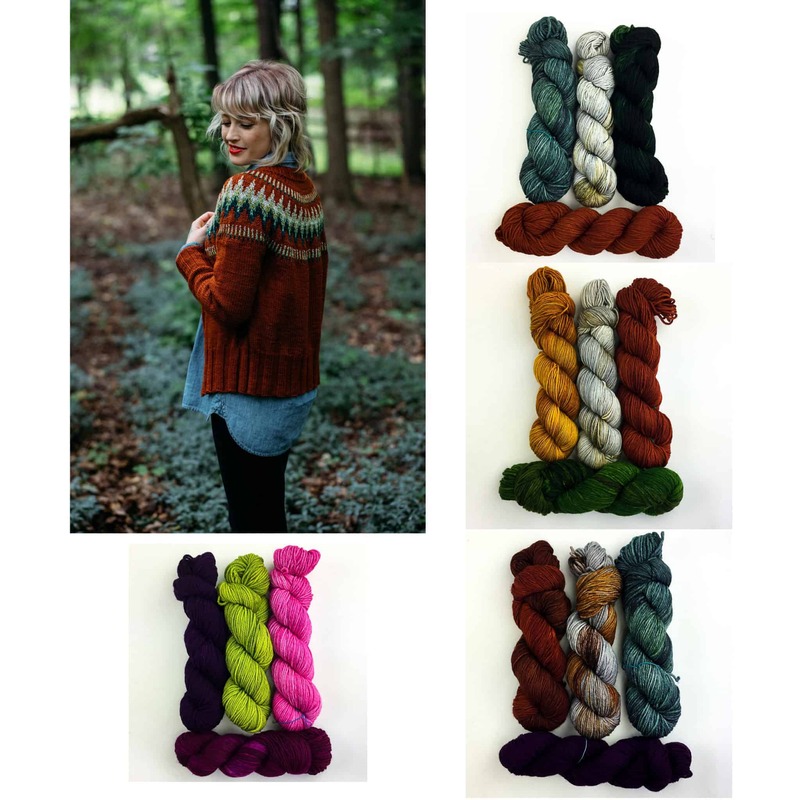 Dye is Cast yarn is having a shop update today featuring new colorways, and a chunky beanie hat pattern will be free to download throughout the weekend. 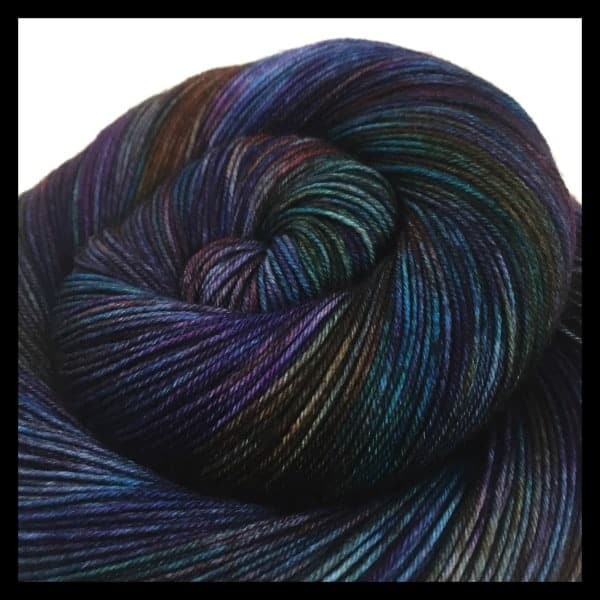 Wild Hair Studio has new Star Wars-inspired colorways on mini batts and rolags, which are 15% off before Dec. 15.